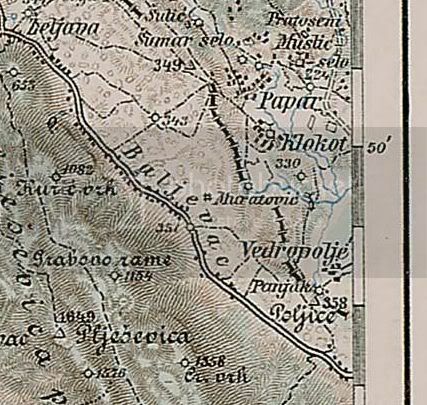 Text (on croatian) about fights against Turkish (Ottoman) Empire in region Drežnik, Željava, Prijeboj, Grabovac before ~220 years (1789). 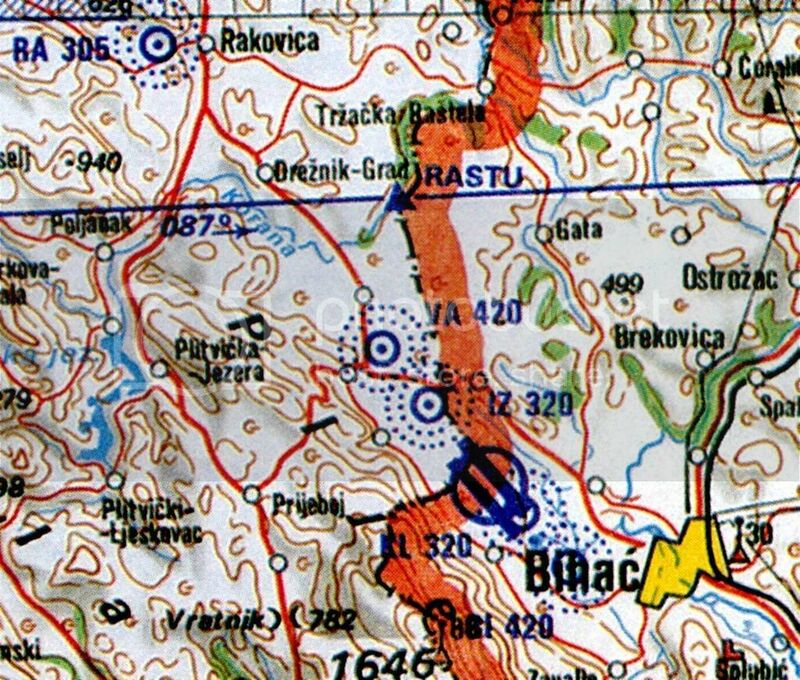 Position of the village Baljevac which were placed on the area where airfield was built. 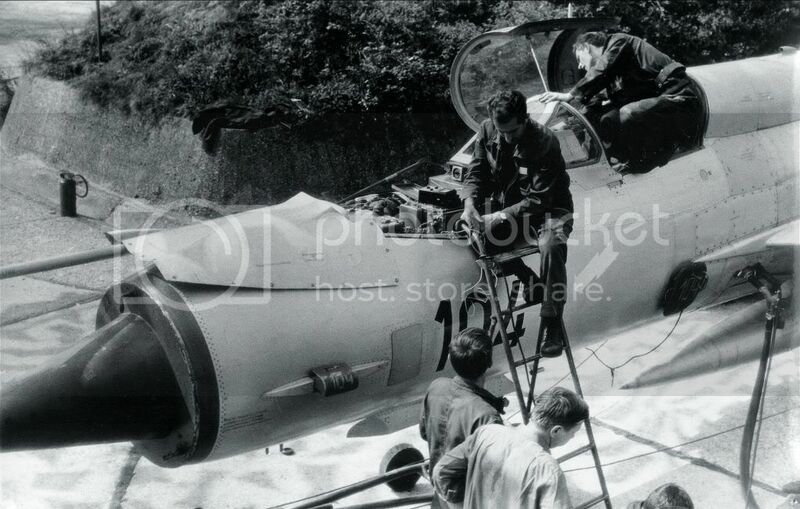 Because of airfield contruction this village was displaced on the end of 50's in 20.century. 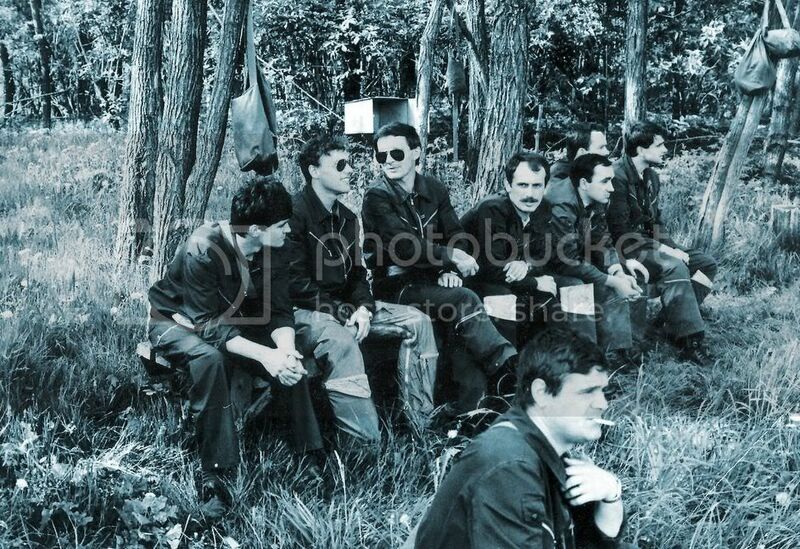 Here were lived mostly Croats. 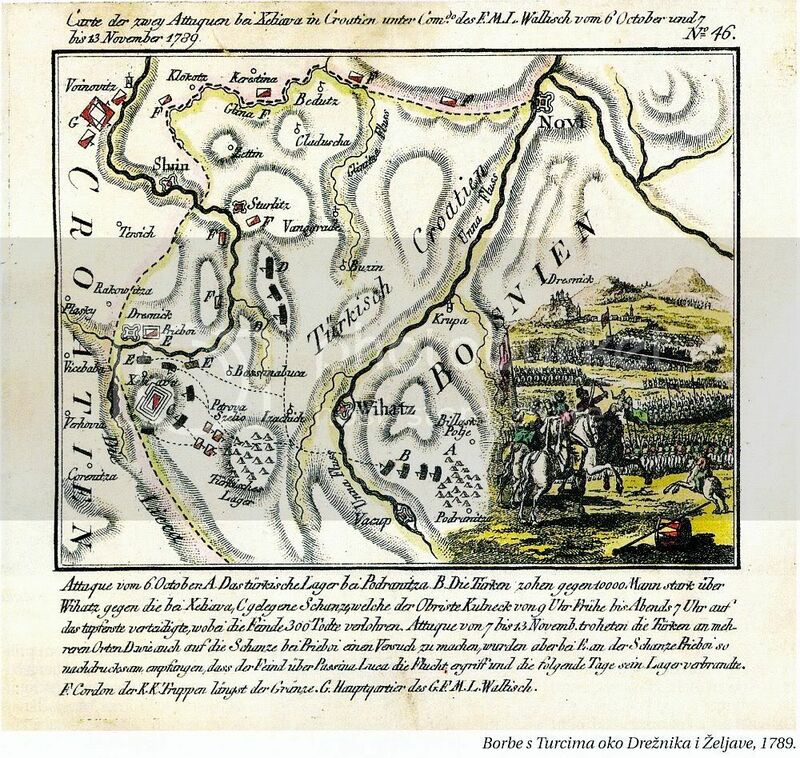 This map was made in Austria-Hungary and it's published in 1910.year, and on link below is whole map galery. 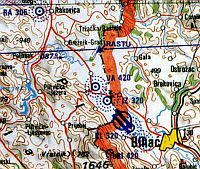 Wider map with mountain Pljesevica region. 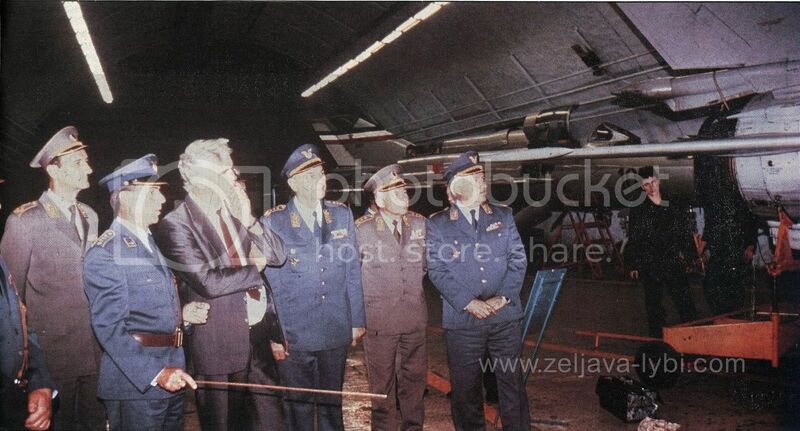 Here you can see the part of atmosphere from the Zeljava airport before wars in 90's and destruction of airport. 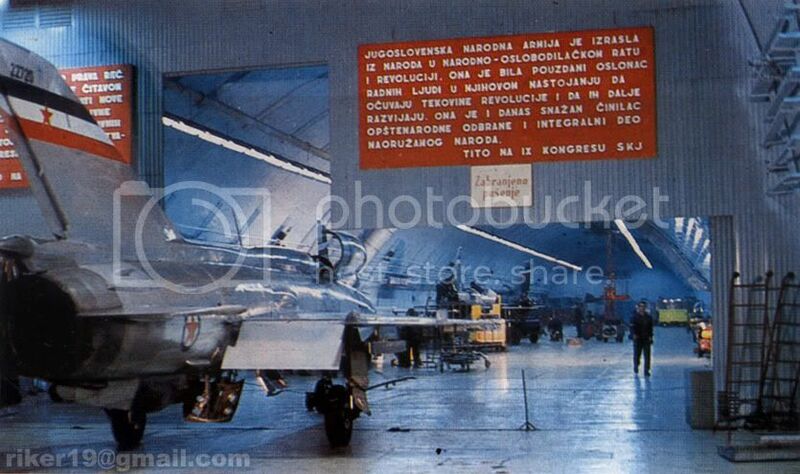 Also you can see some details from exterior aprons for planes, complex within mountain Pljesevica, including taking of and flying of the Mig 21. 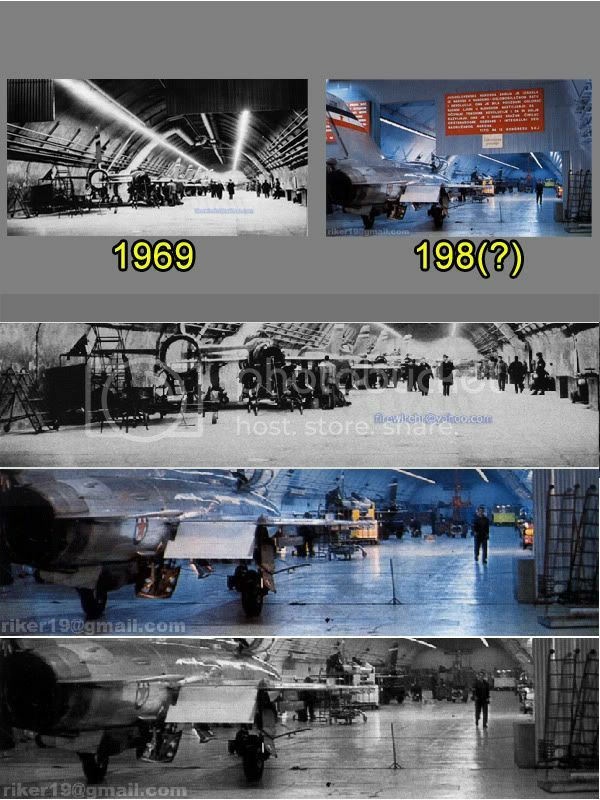 It is combination of frames "before and now". 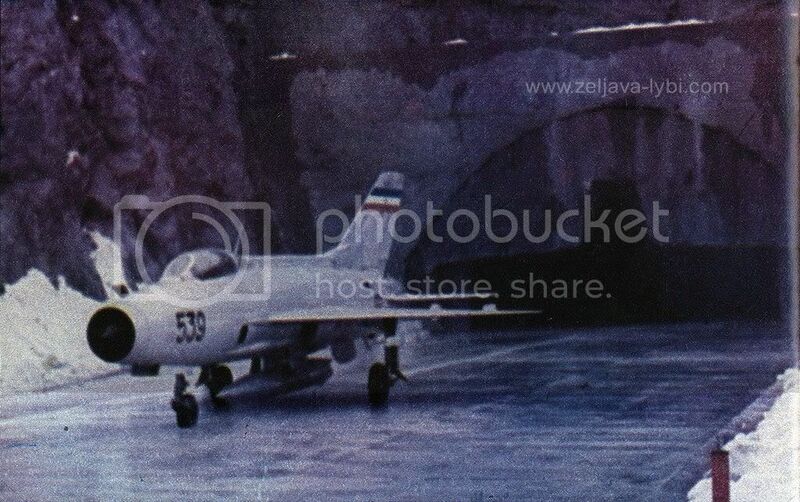 This photo has been probably taken in early 70's. 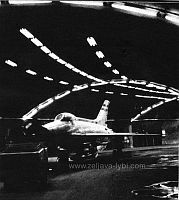 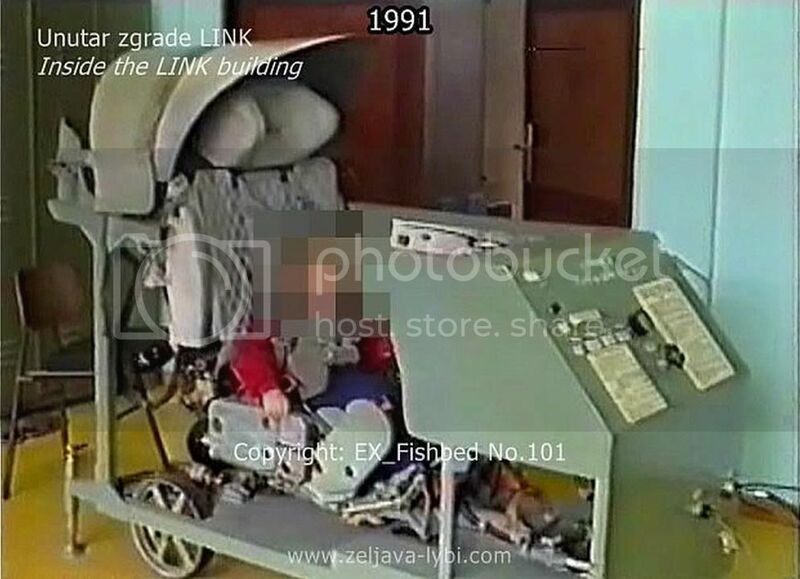 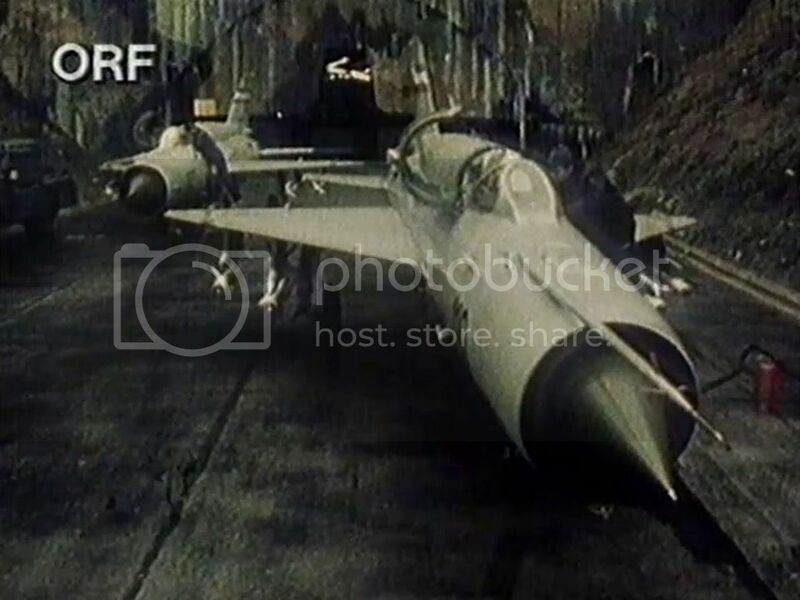 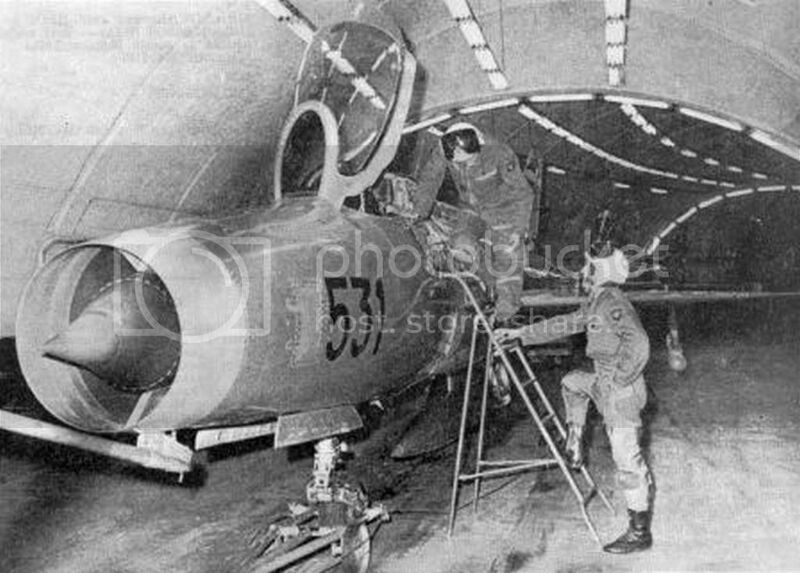 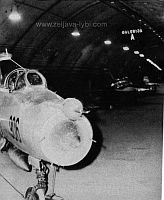 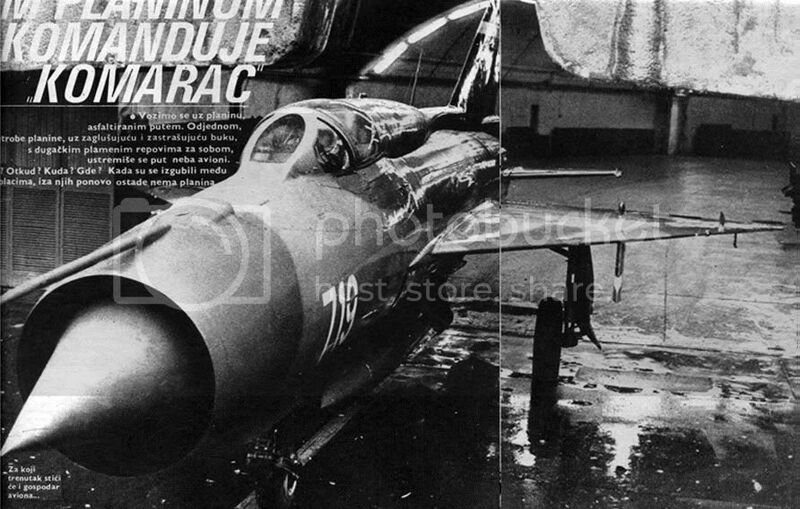 In the first video frame is presented the retraction of MiG-21 with electro-accumulator tug vehicle through the entrance of the tunnel 2 from the Croatian side (or tunnel 3 from Bosnia and Herzegovina side)....... 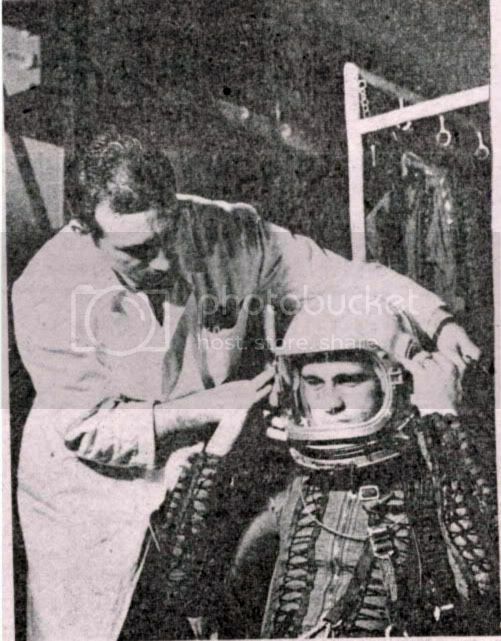 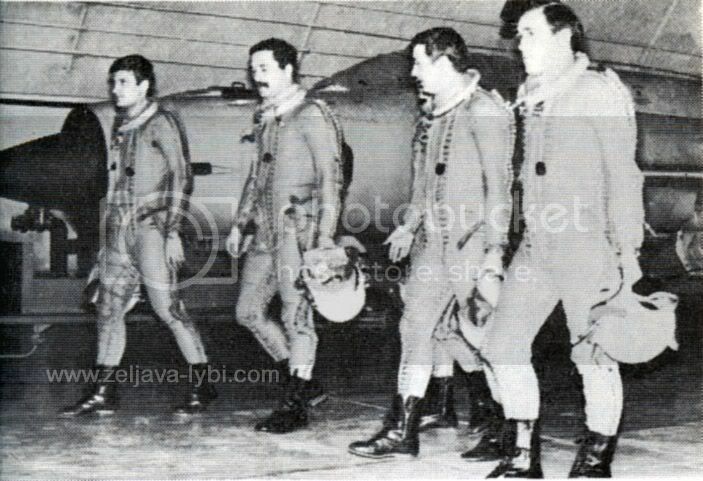 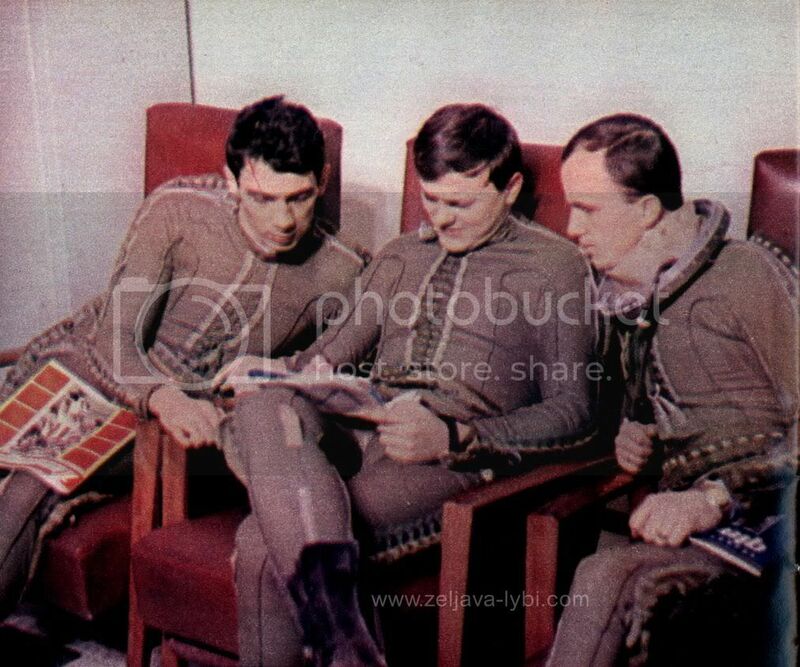 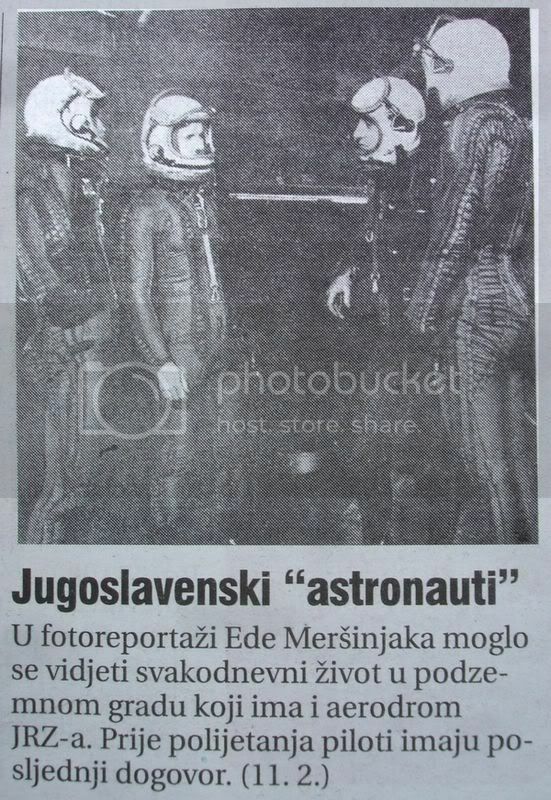 This is most probably part of one YPA propaganda movie, because it is not the custom that pilots climb, dressed in the altitude pressure-suit, on the plane, while they are still inside the underground complex "Klek". 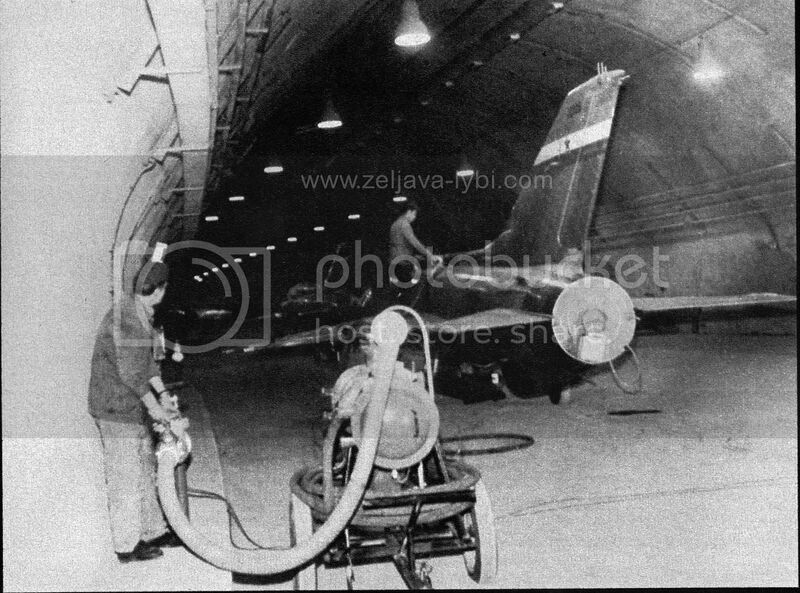 Procedure has been such that mechanics have pulled out all planes, from the underground complex, on the large apron in front of triangles. Before climbing into a airplane, pilots had to come from the classrooms where they have had the preparation for the flight. 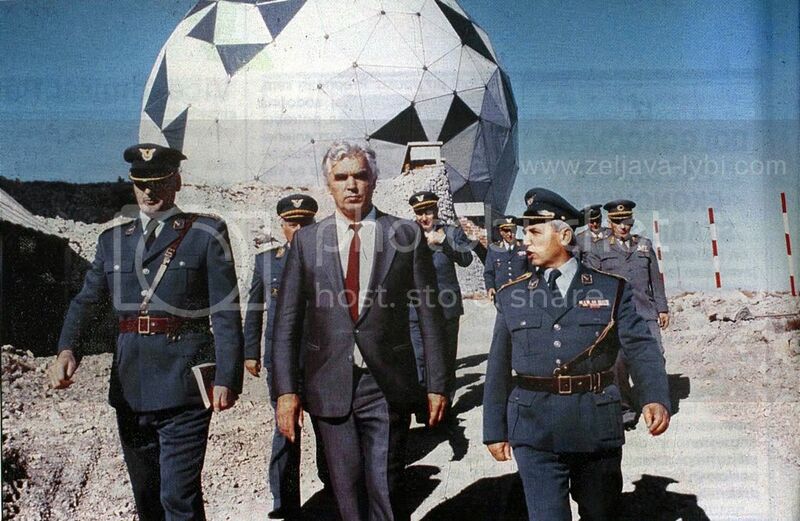 The short YPA propaganda movie about VOJIN-in has been shot on the radar site (popularly named "elevation") K377 with the view on radars P-35, PRV-11 and panoramic view on the distant (in the right part of photo) mountain Plješevica. 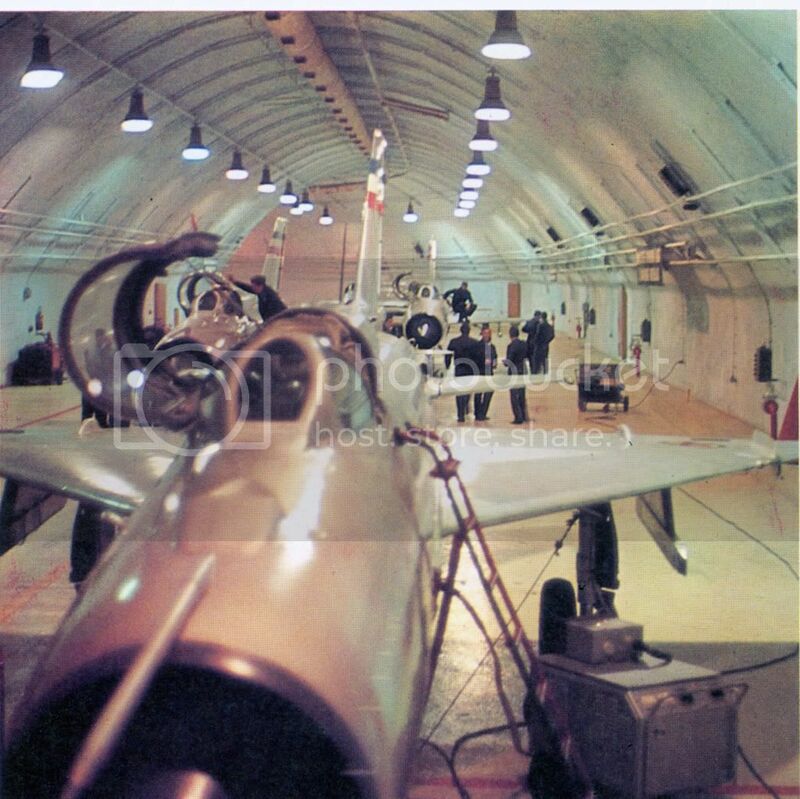 Then follow the photograph from the battalion OPC (OC) on this elevation, with displays of surveillance radar in the left part of room and height finding radar in the right part room. 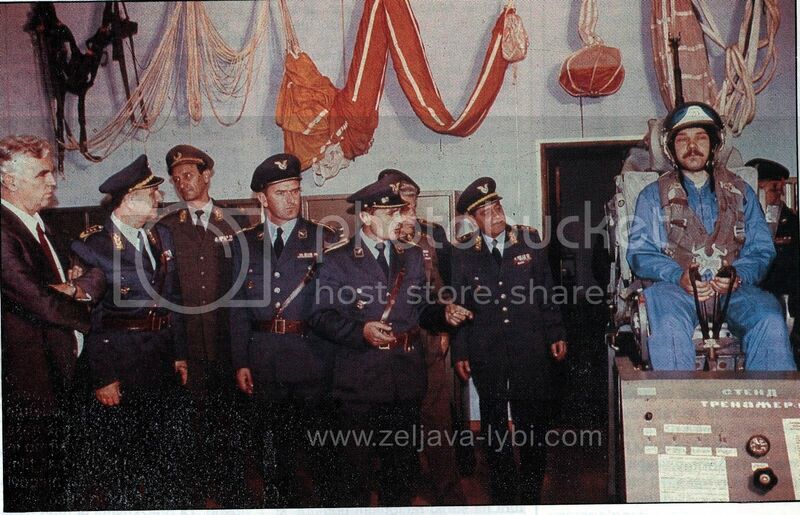 Also you can see speaker and duty officer of OZN. 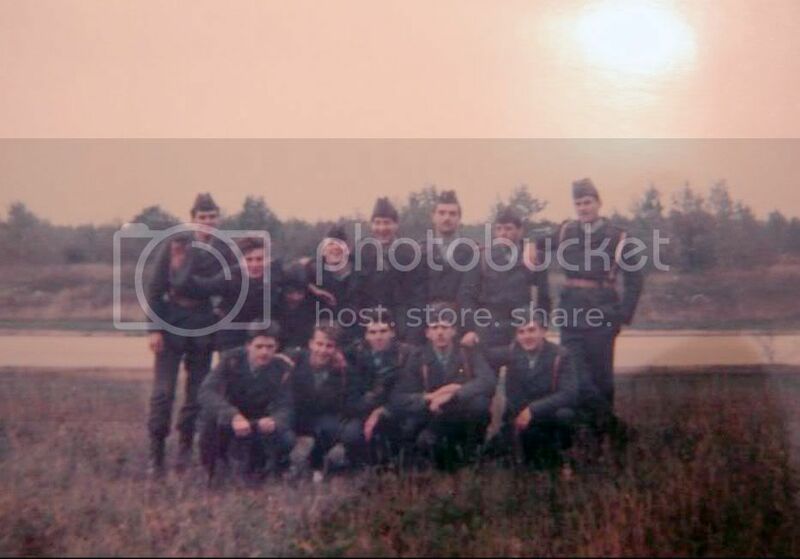 Following part of the film again represents the battalion OPC (OC) but this times in the object " Klek ". 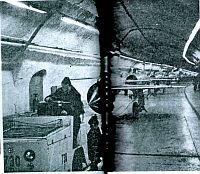 Soldiers were separated with vertical plexiglas walls from the officers responsible for decision making. 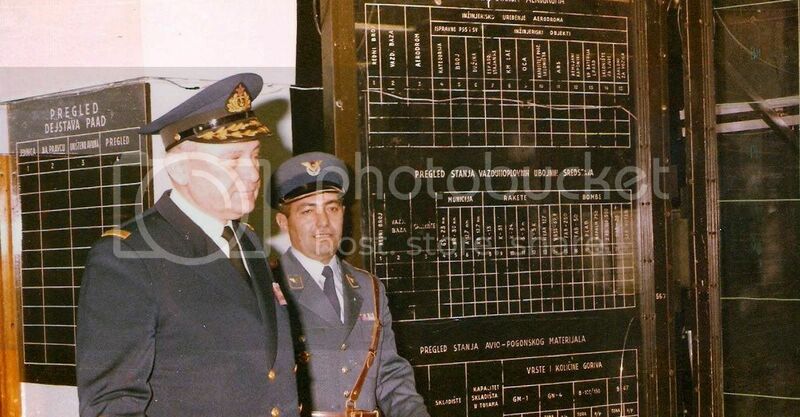 You can see the vertical plotting boards (so called plane set). 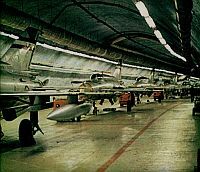 where the soldier draws the airplane track. 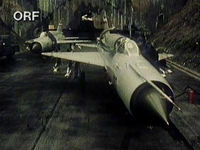 Further is seen the process of deciding, where the main duty officer uses his microphone to scramble the pair of fighter aircrafts into an action (he sits in the last row and has complete and best review of situation). 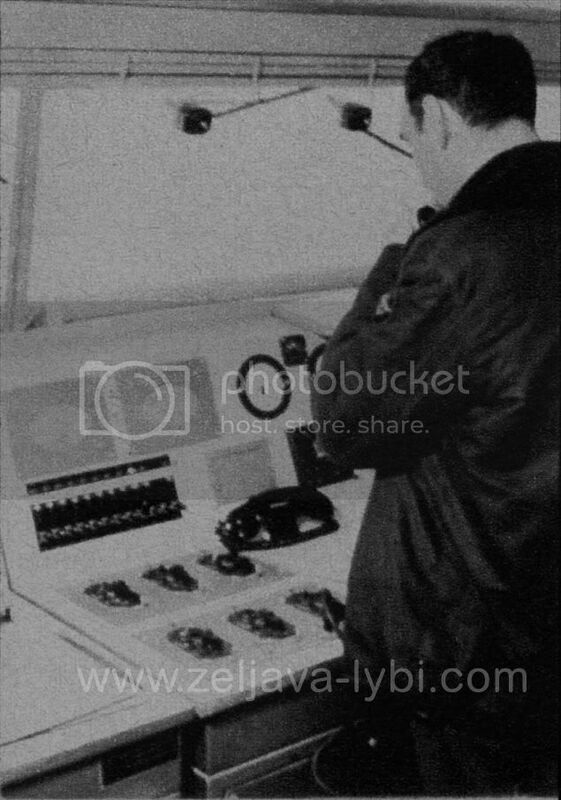 He orders to the fighting regiment duty officer to scramble fighters by using his inductor telephone. 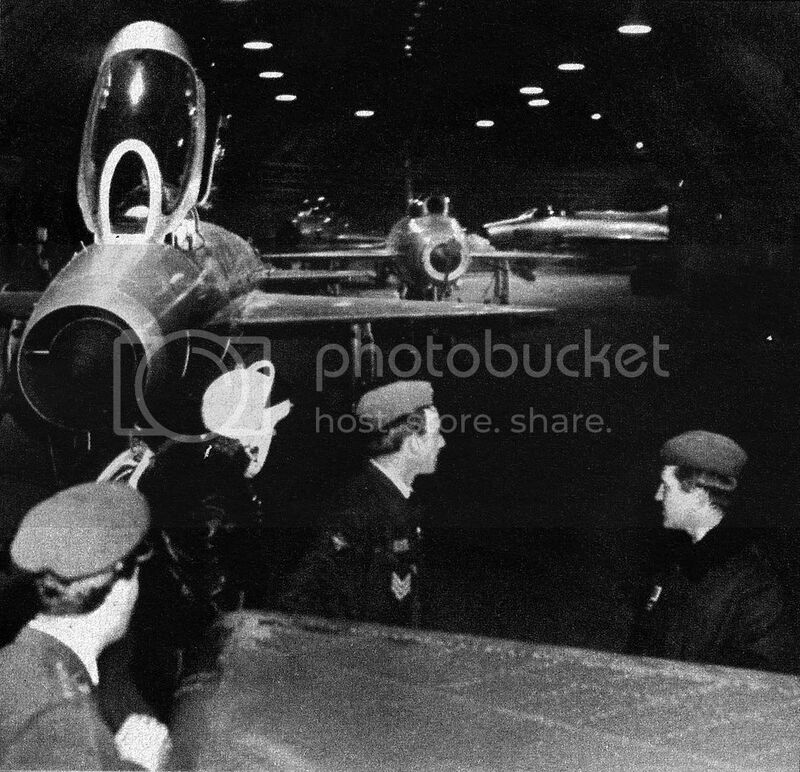 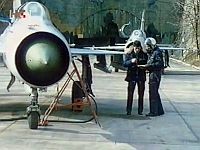 MiG's are starting in front of the tunnel no.1, but now follows the small feint with purpose to confuse uneducated common people and eventually more professional observer-analyst, but with no success. 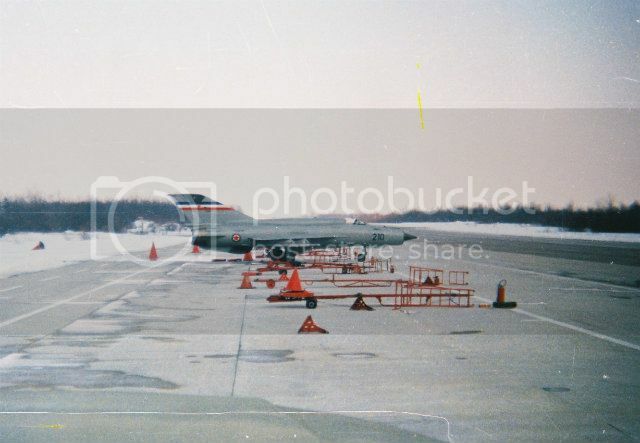 Follows the taxiing of vehicles 713, 711 along the runway no.3, what leads to taking off from runway no. 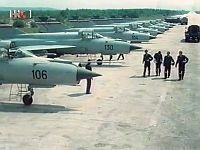 4 , i.e. runway for the scrambling pair. 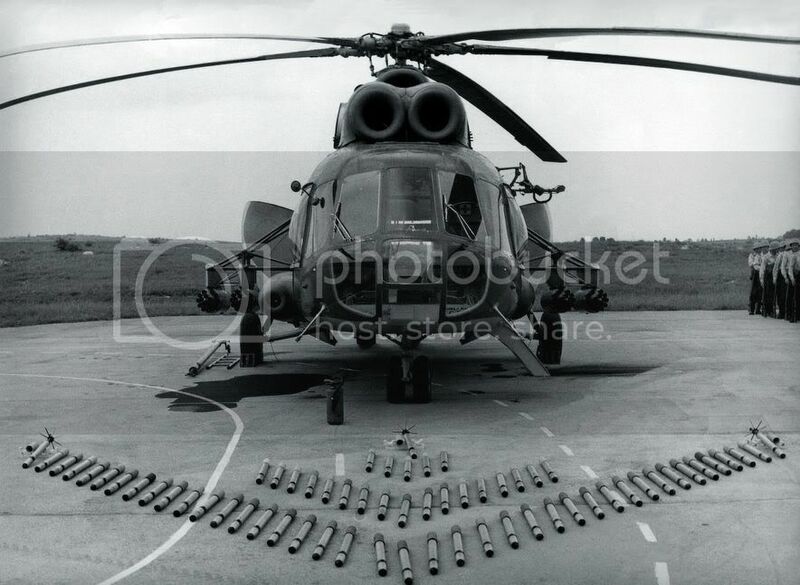 All this is shot from some ~80 meters of height. 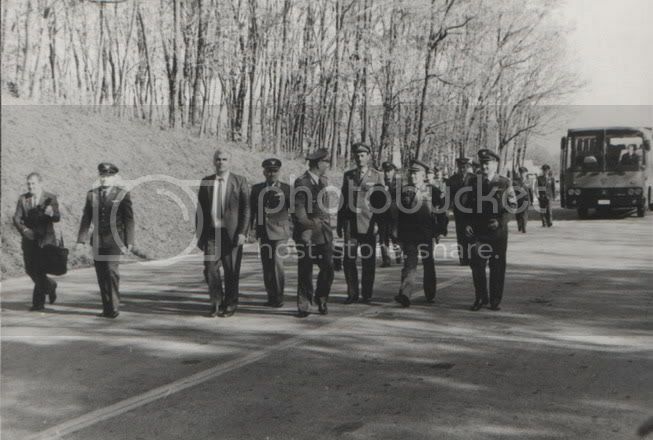 ...is the north beginning of patrol road. 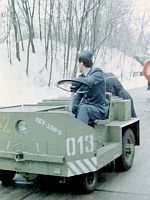 Patrol road goes up for some 80 meters and starts precisely there, left from this runway, and goes along the edge of hill until the end, behind the tunnel no.4. 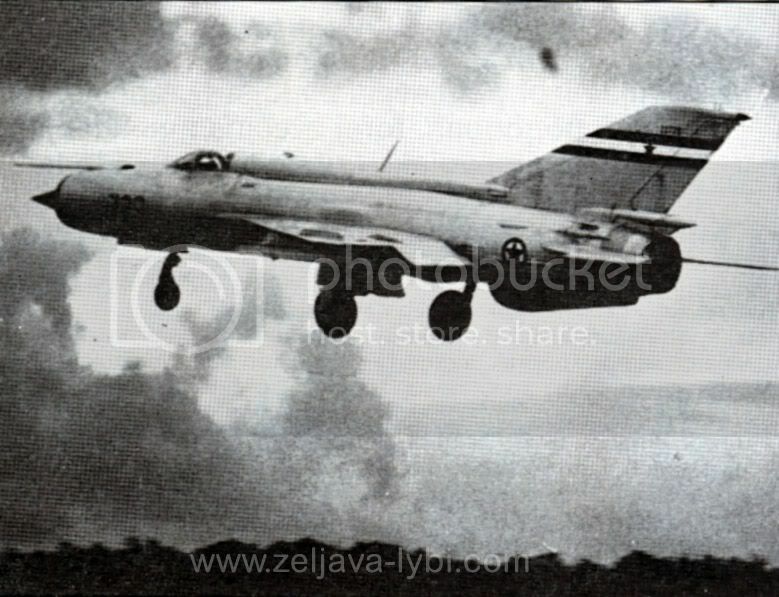 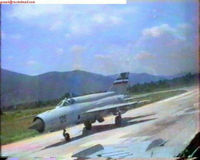 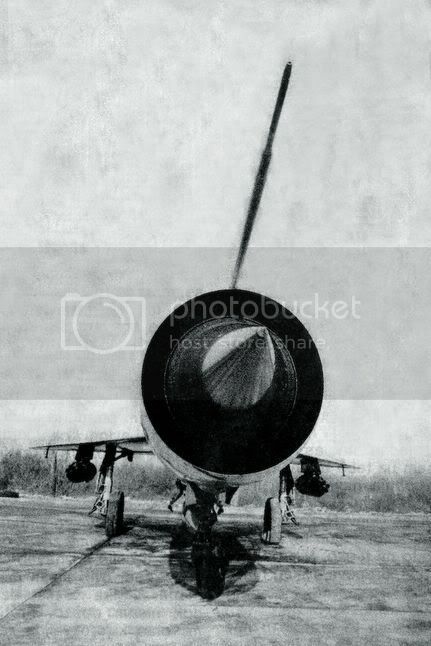 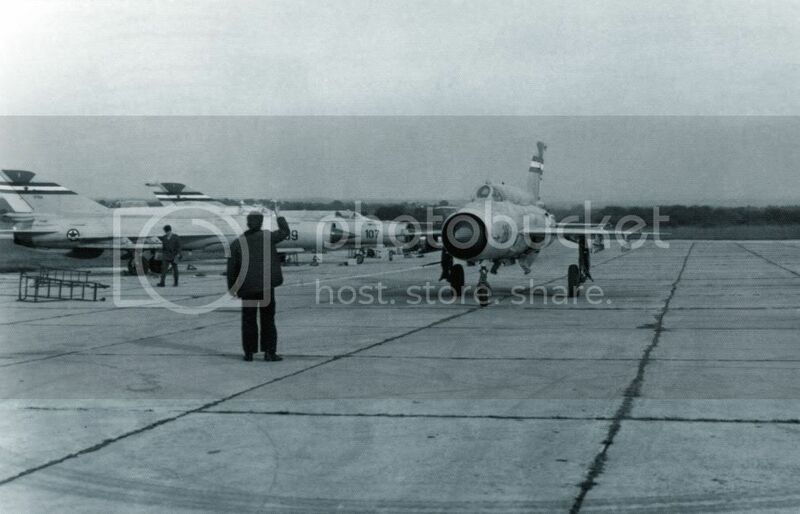 After this follows another frame which shows the MiG-21 take off, but from the runway no.4. 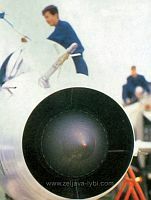 In the end follows the alarm for scrambling of Air defenses. 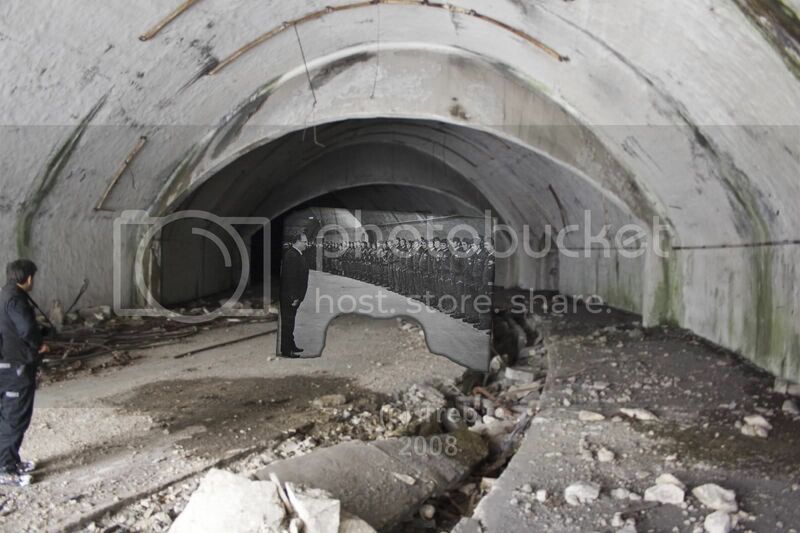 Inside of object " Klek " in the mountain Pljesevica. 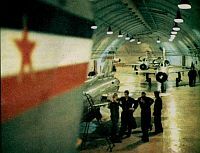 Interior of Klek facility inside mountain Pljesevica. 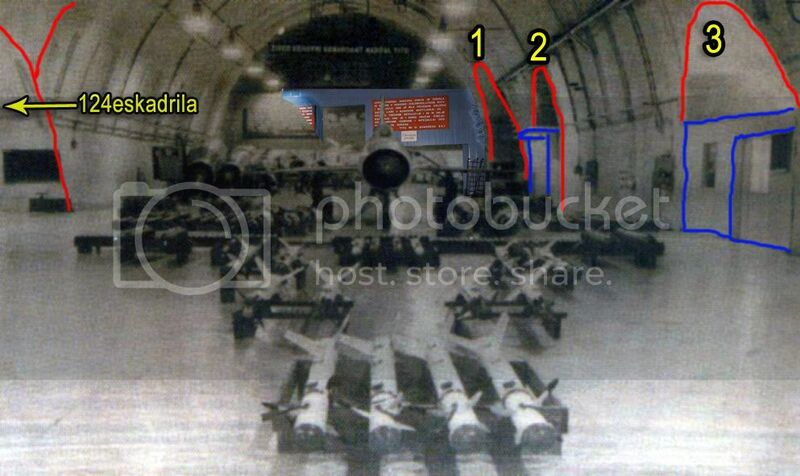 Here has been presented the opening of electric armored doors on gate 2 to the central gallery, then followed by frame of driving through gallery 124th.Fighting SQDN (to the exit 3). 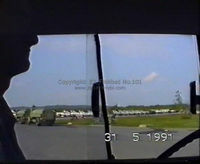 During this, camera is passing near corridor which leads to the elevator for control tower (from left side), then crossing the zebra which is mark for entrance to the corridor of regiment command. 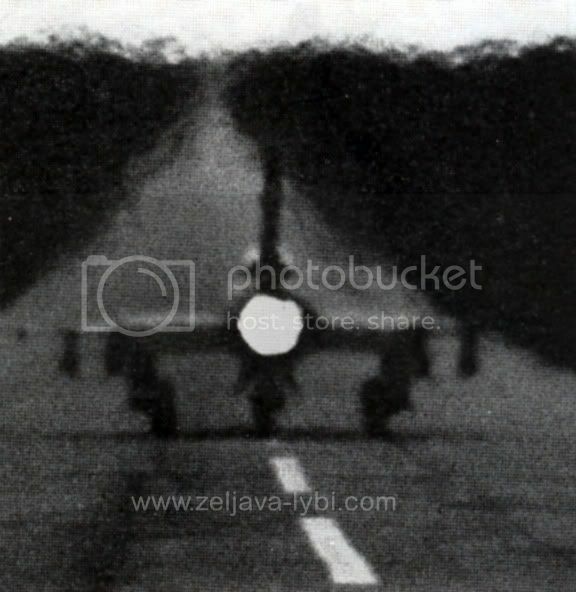 It comes to the curve and returns to the zebra. Then is followed by frame of the gate 2 exit which has no connection to the previous description, and after this 2 persons are entering into a regiment command over zebra. 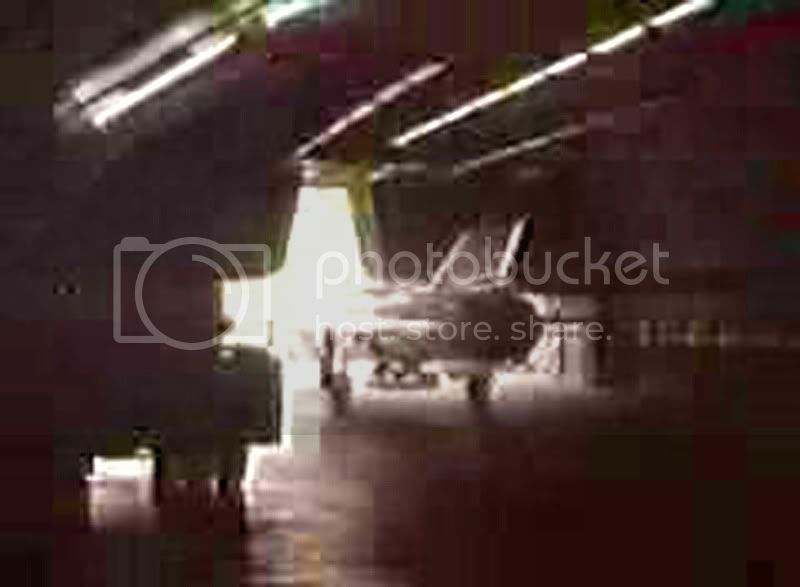 After this is frame from room where are bombs and rockets, and which is placed on a totally different part of facility or to be exact on a curvature of exit tunnel of gate 2, between armored doors and "concrete curtain"
This video is as completely recorded on the part from the connection of 125th.Fighting SQDN gallery with the central gallery to the exit tunnel on the entrance 2 in the object "Klek". 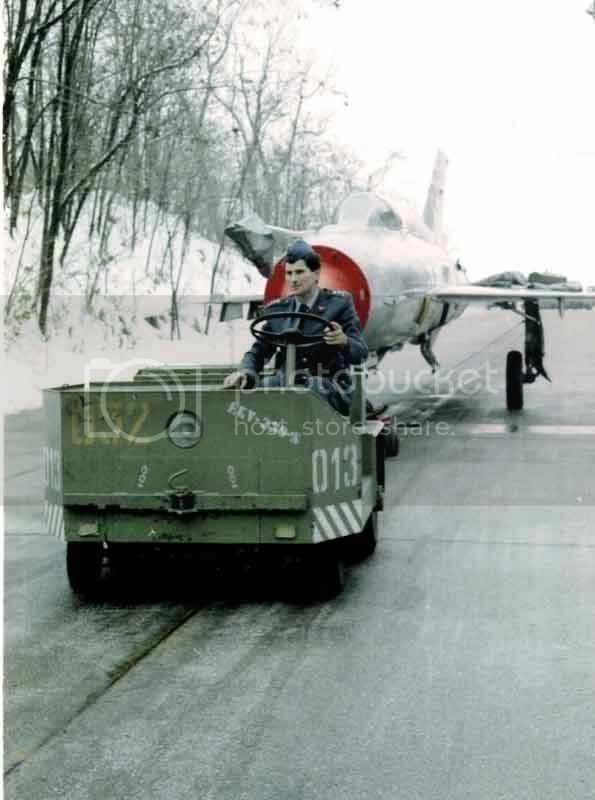 It presents pulling out the MiG-21 across armored doors on exit 2. 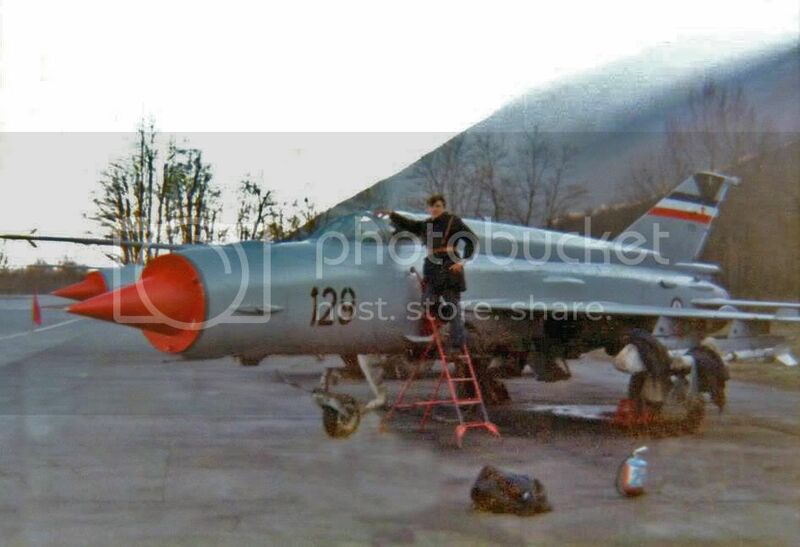 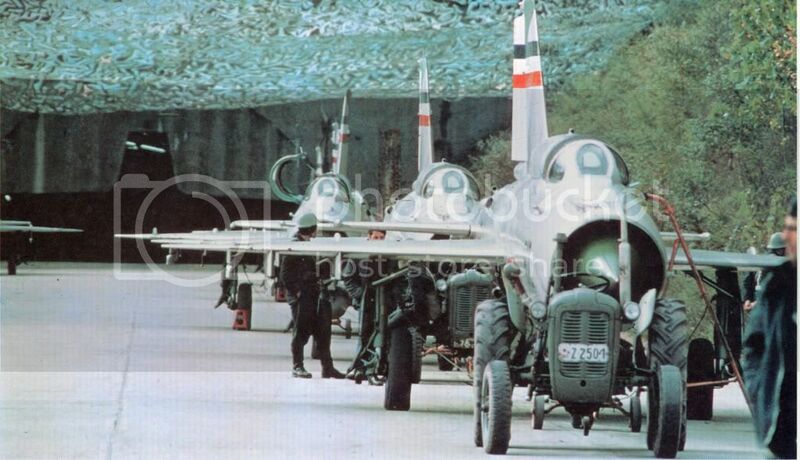 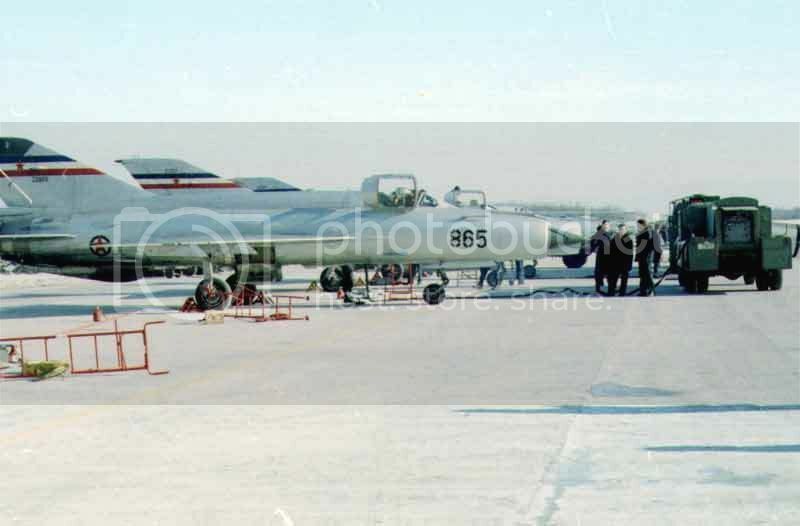 During this you can see in the background the VTR with modified rib tin which purpose is to enable passage of MiG 29.That is telling us one information that this picture is probably taken in summer 1990/91 because the soldiers carry summer uniforms. 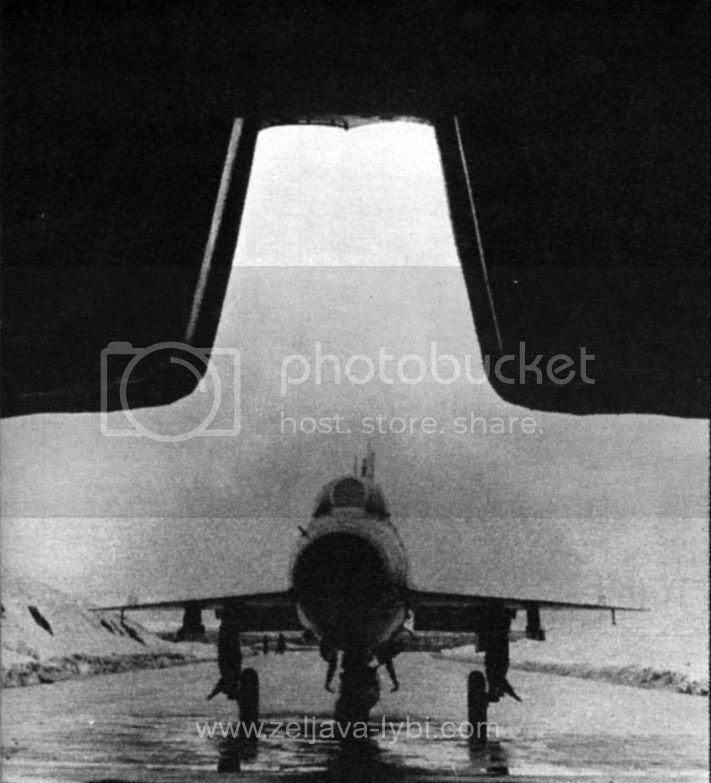 For MiG -29 also has been completely altered entrance/exit 1 to the armored doors. 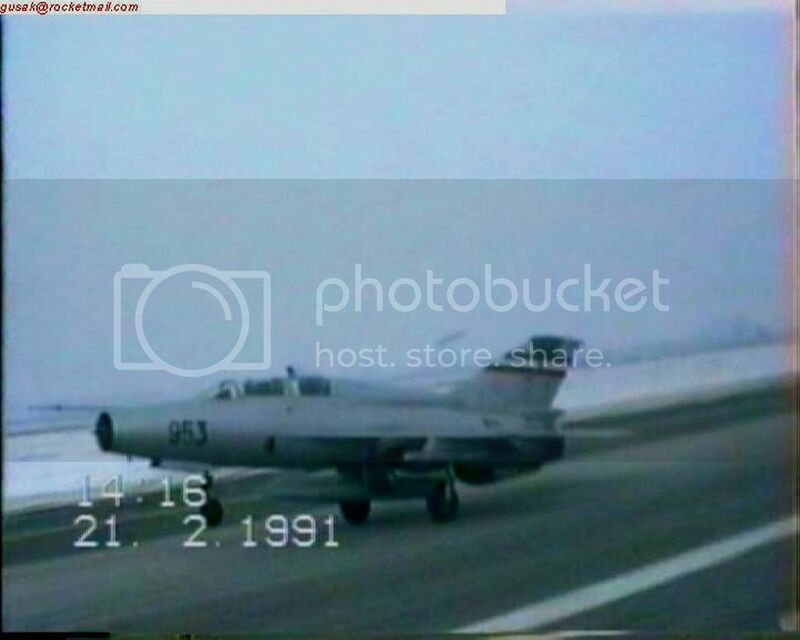 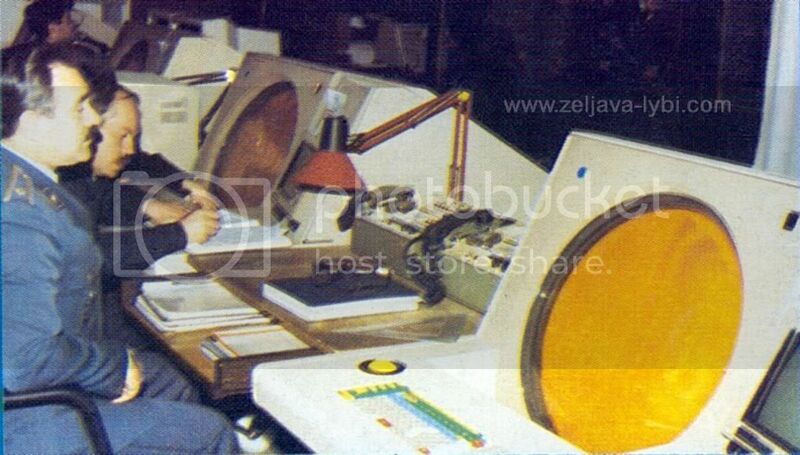 Video from the airport Zeljeva, most likely taken somewhere during the middle of 80's. 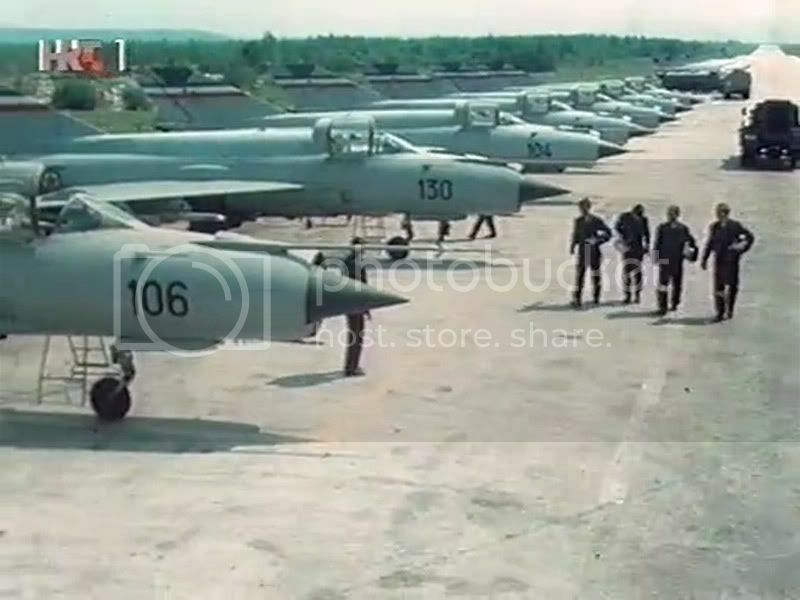 This video shows flying of 125th.Fighting SQDN from airfield Zeljava in the beginning of 1991. 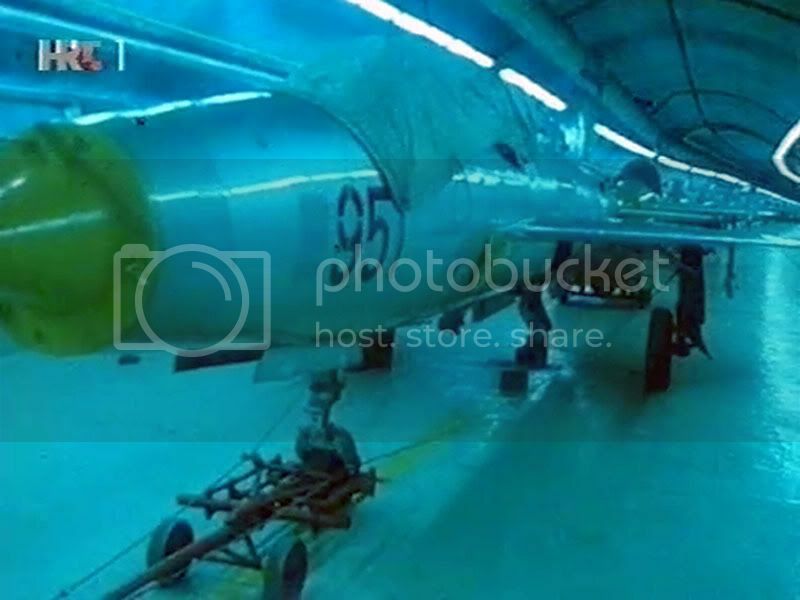 Also you can see scenes from the undergorund facility "Klek". Here has been presented flight of MiGs-21 above the airport Zeljava with the mountain Pljesevica in the background. 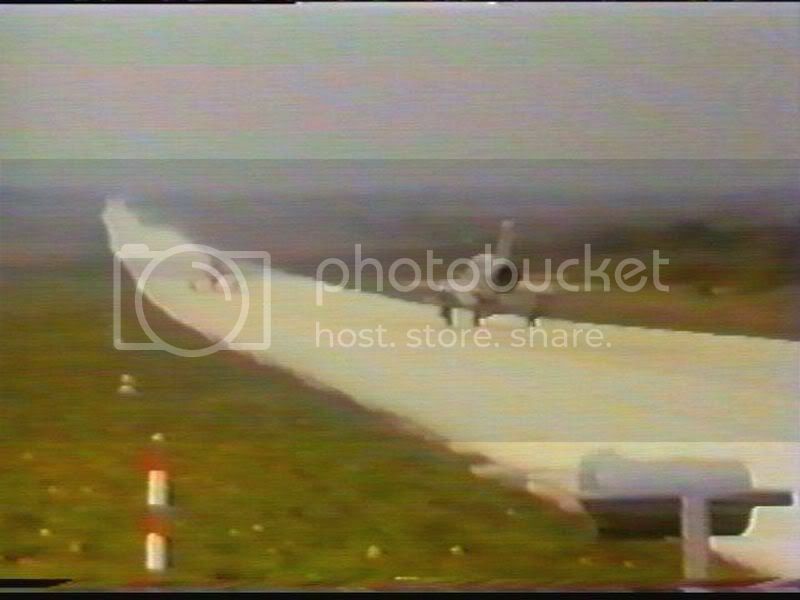 This video is most likely taken somewhere during the 80's. 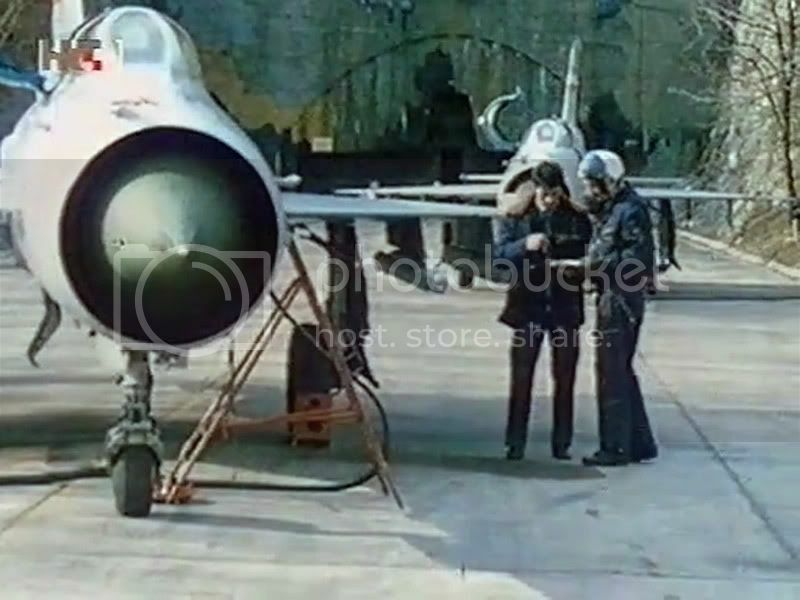 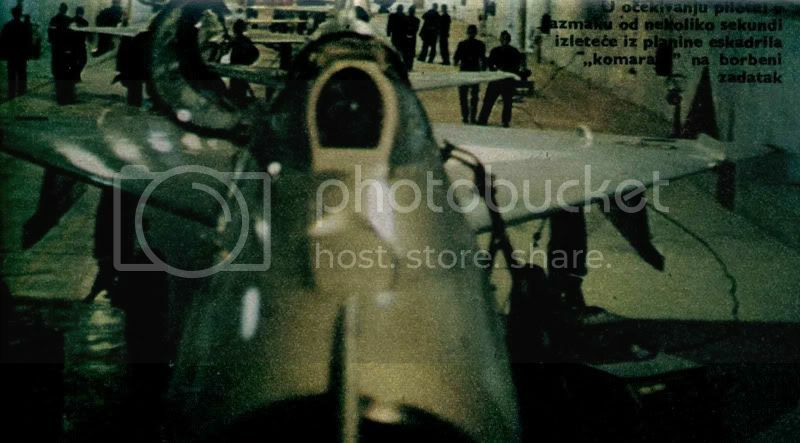 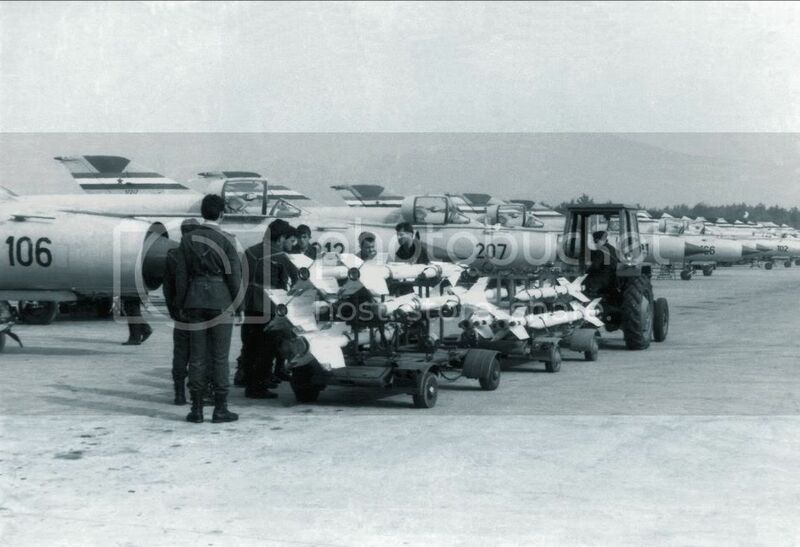 This video show preparations for the flight, and flight of MiG-21 as well, with their crews from the airport Zeljava 1990. 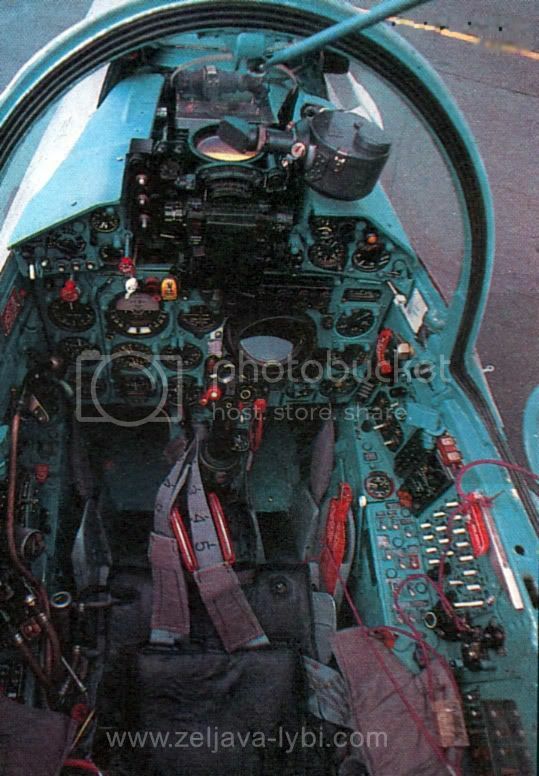 It is interesting that this video has been taken by camera inside cockpit. 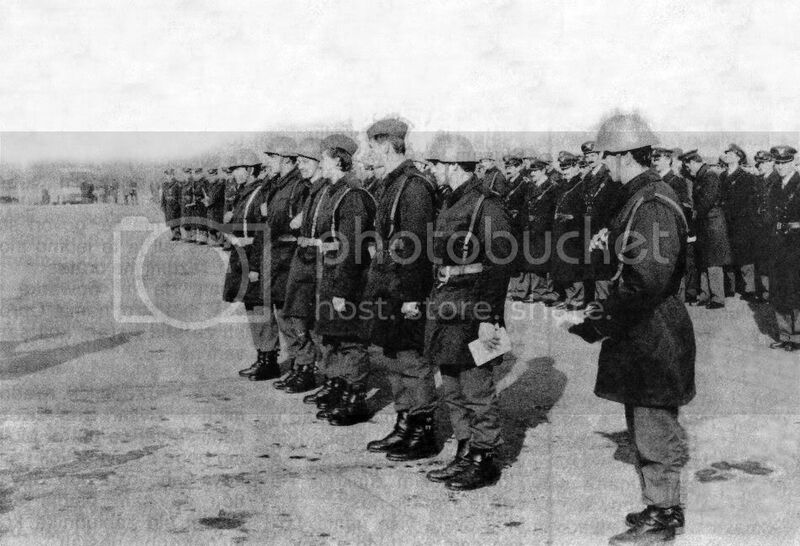 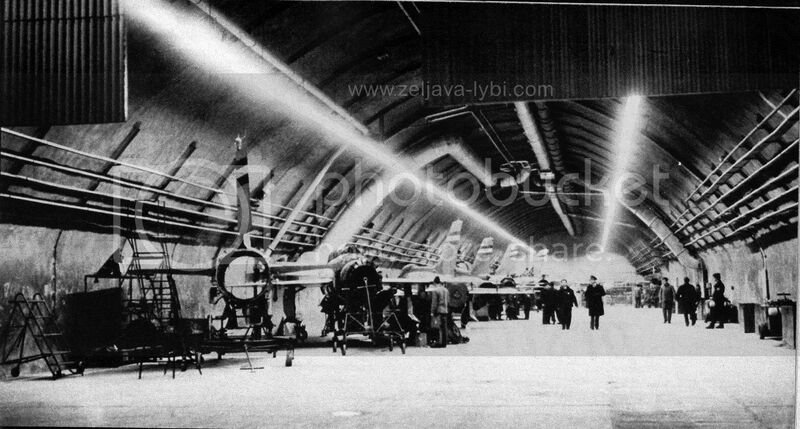 We from LYBI group of enthusiastic researchers from these website have a special honor to present a series of photo-documents which show very beginning of operations of this AFB complex. 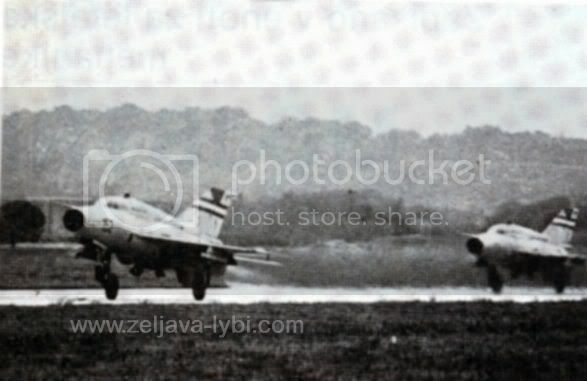 This is a real rarity from 1968., 1969. and in 1970., which we haven't encountered anywhere during many years of reashrces. 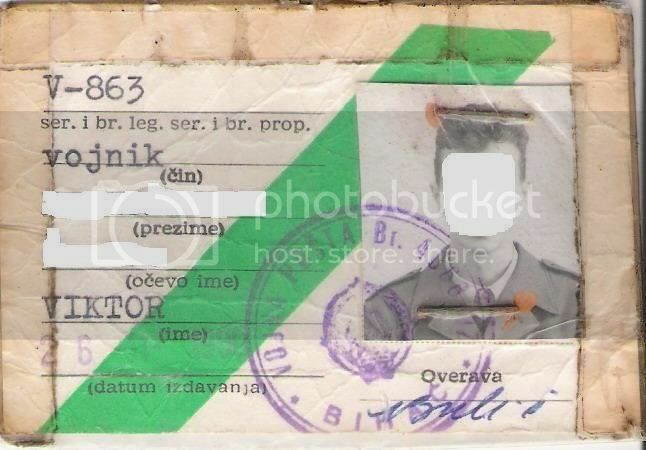 We got an exclusive license for public presentation of these materials for educational purposes. 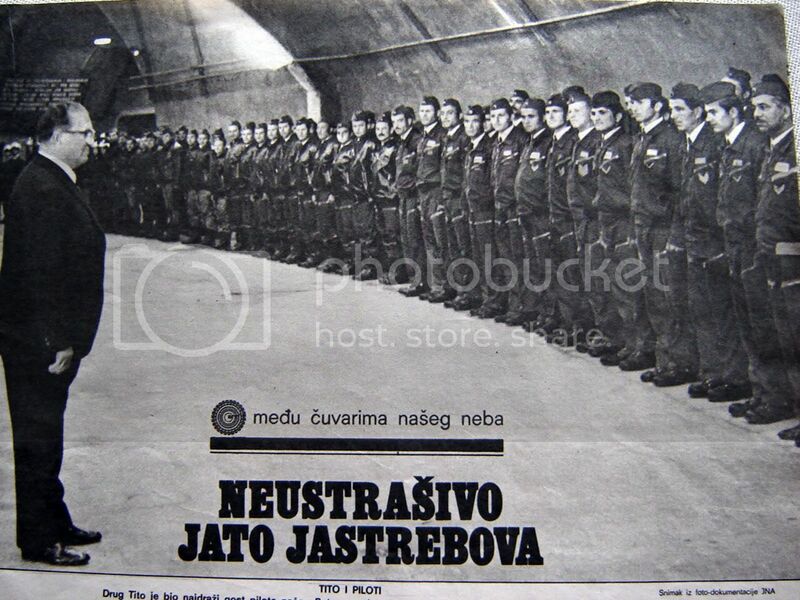 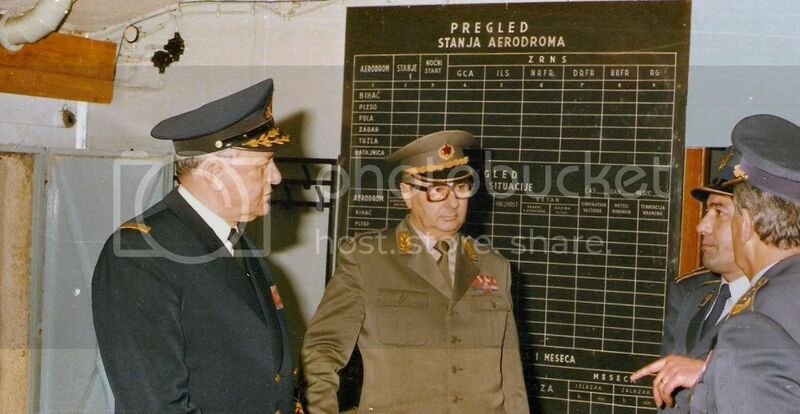 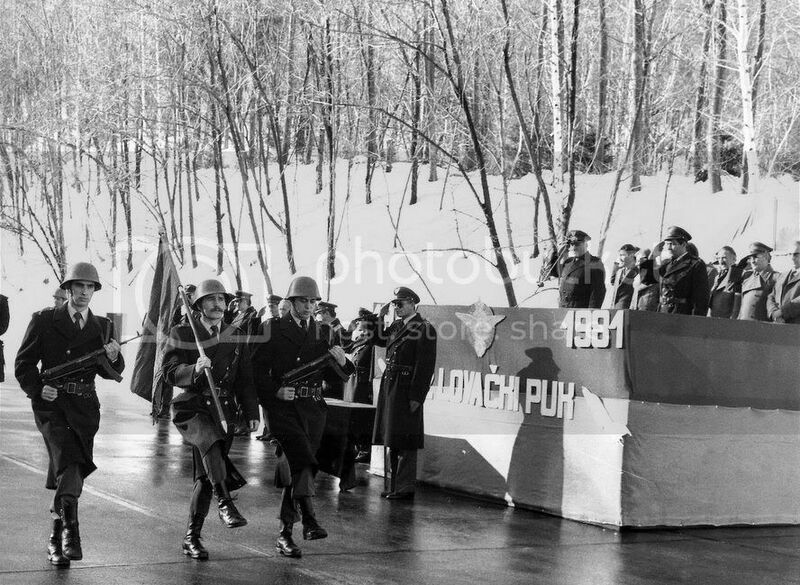 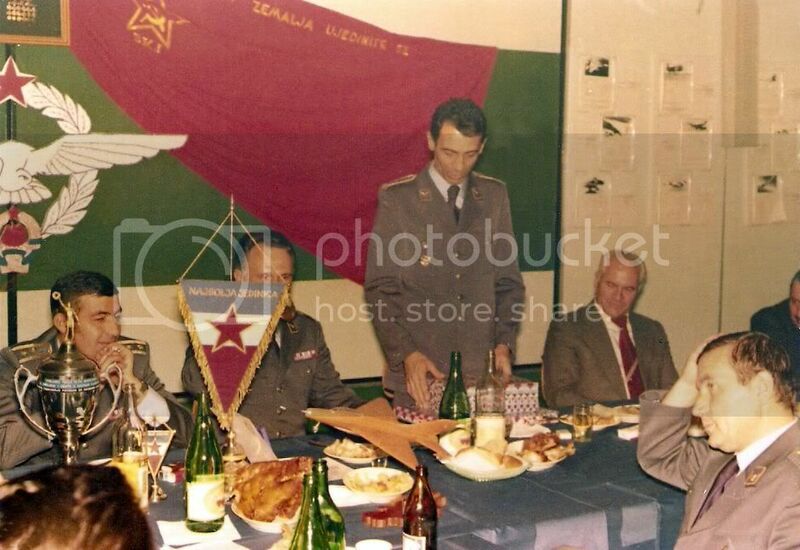 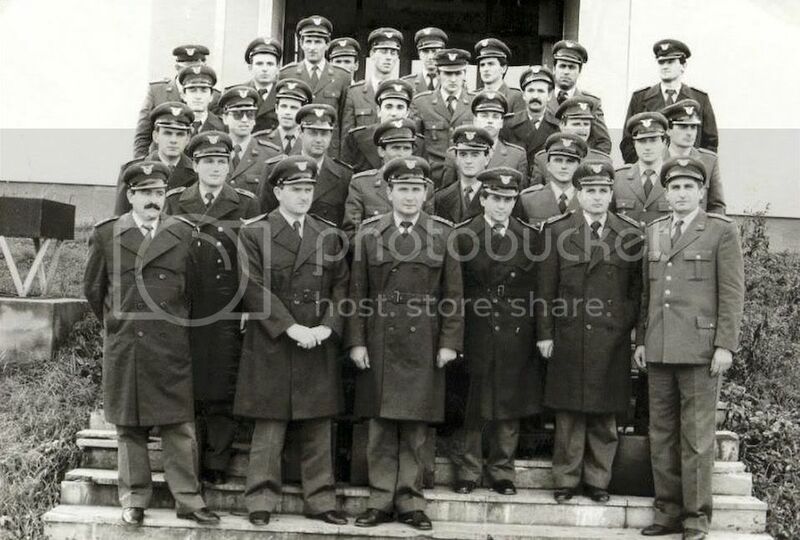 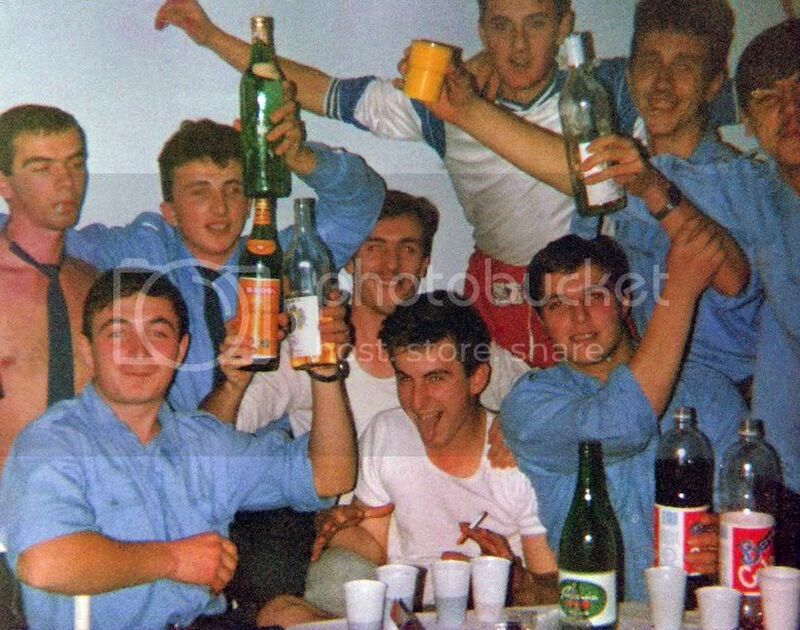 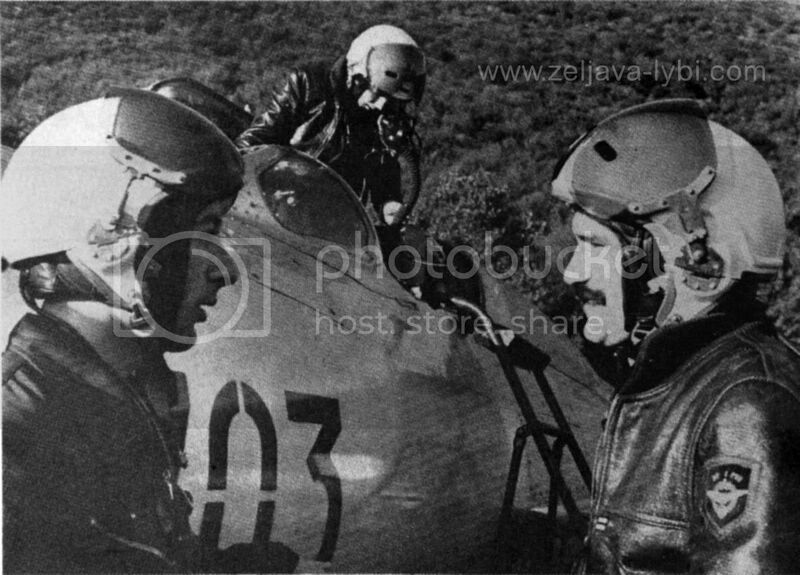 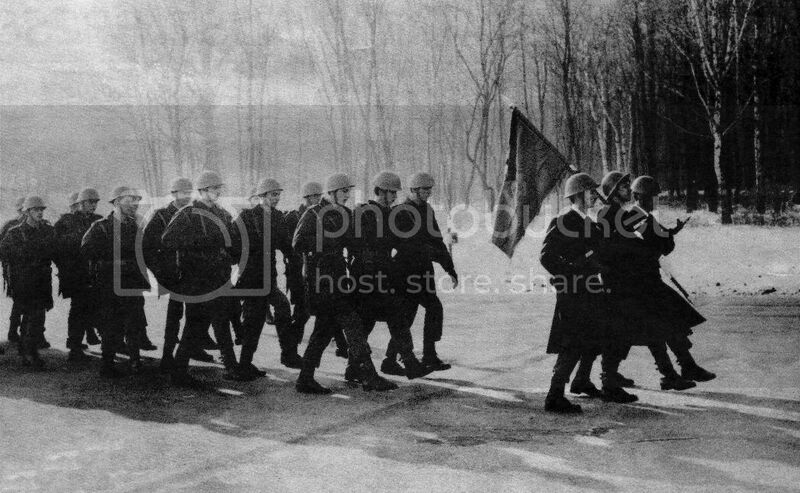 Used photos are the property of Croatian State Archives (CSA) from the Collection of photos of 5th Army District HR HDA 1211. 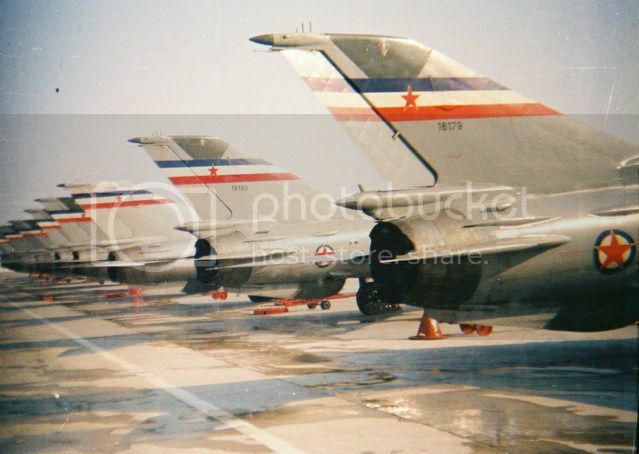 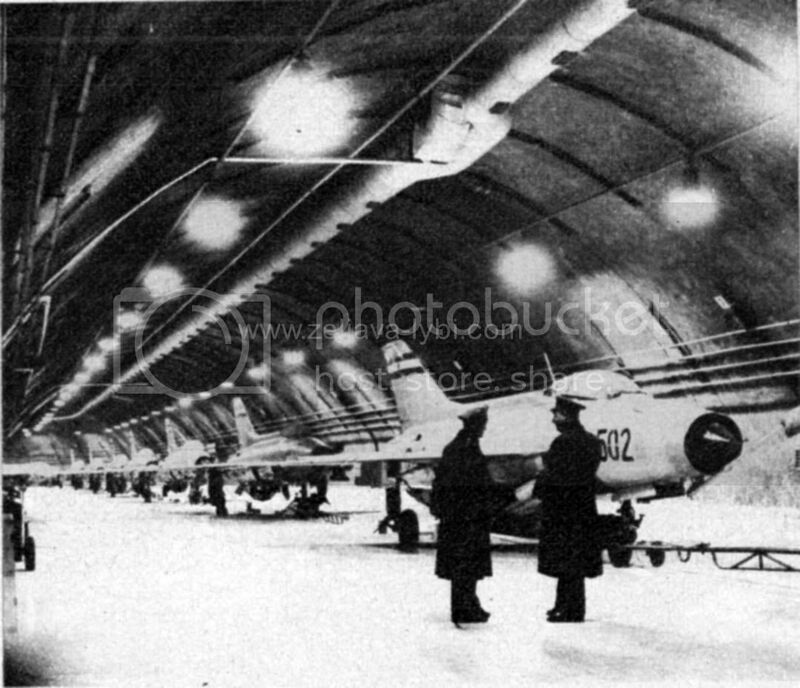 On these photographs can be seen brand new AFB Željava-Bihać...more detailed description here. 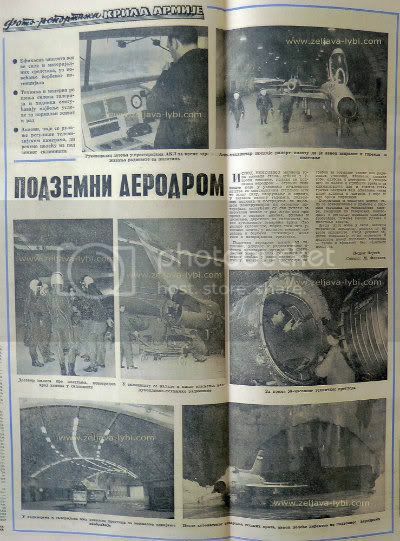 These are probably the first media reports about the airport after being put into operation. 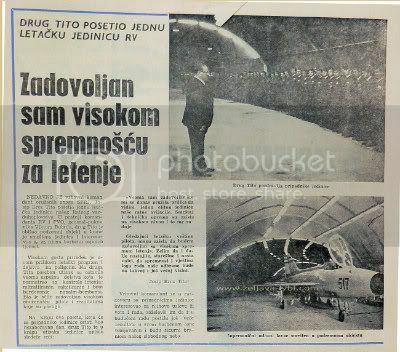 Left is a story from february of the 1969 and right is from may of the 1969 when Josip Broz Tito visited 1st time this facility. 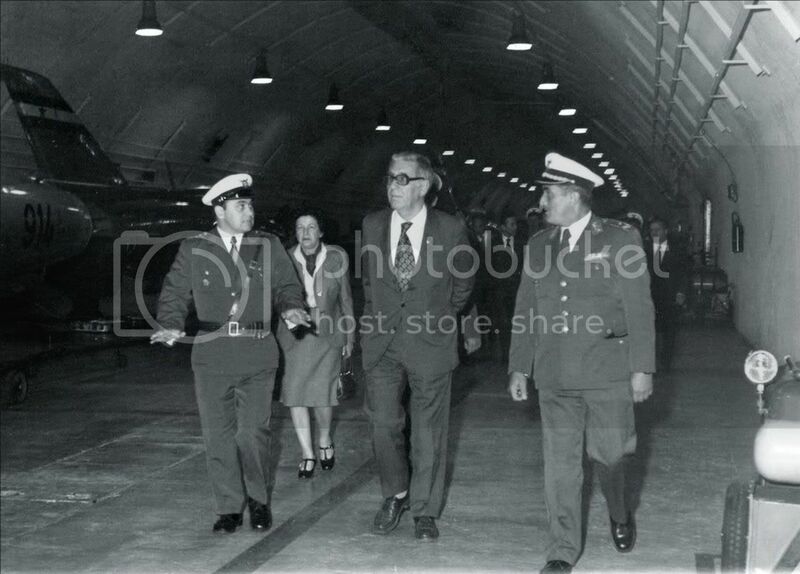 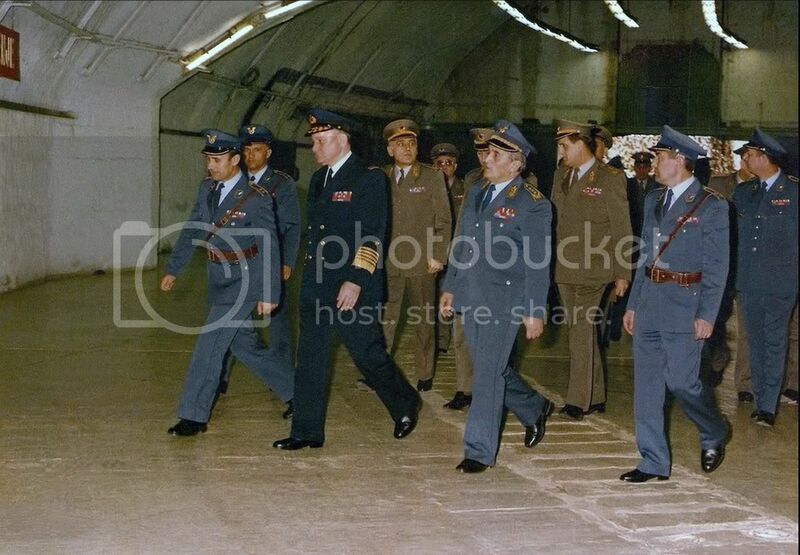 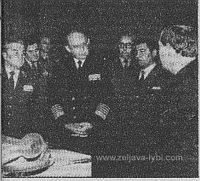 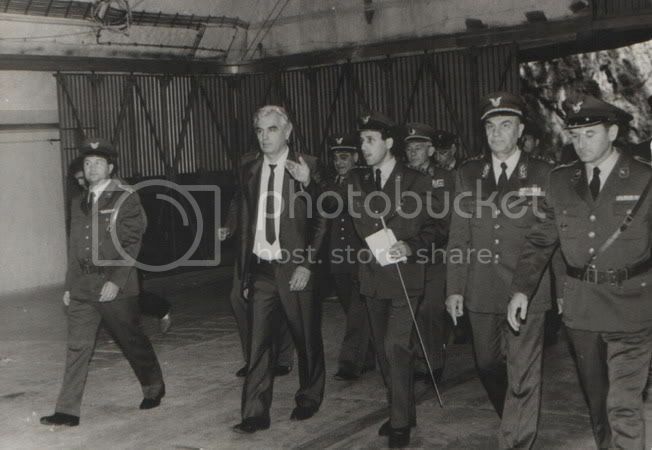 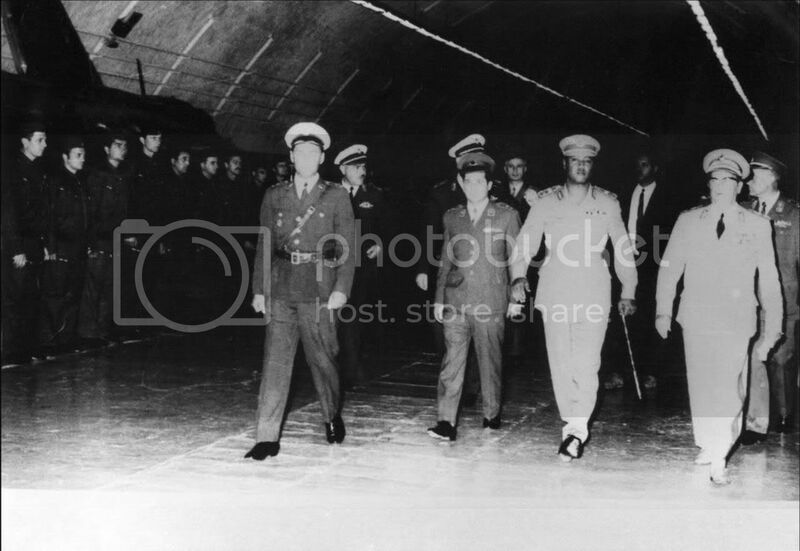 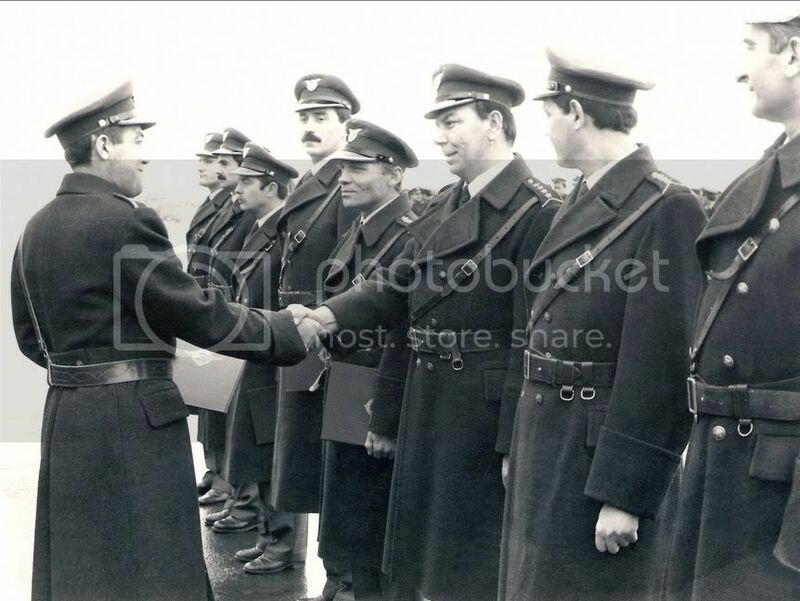 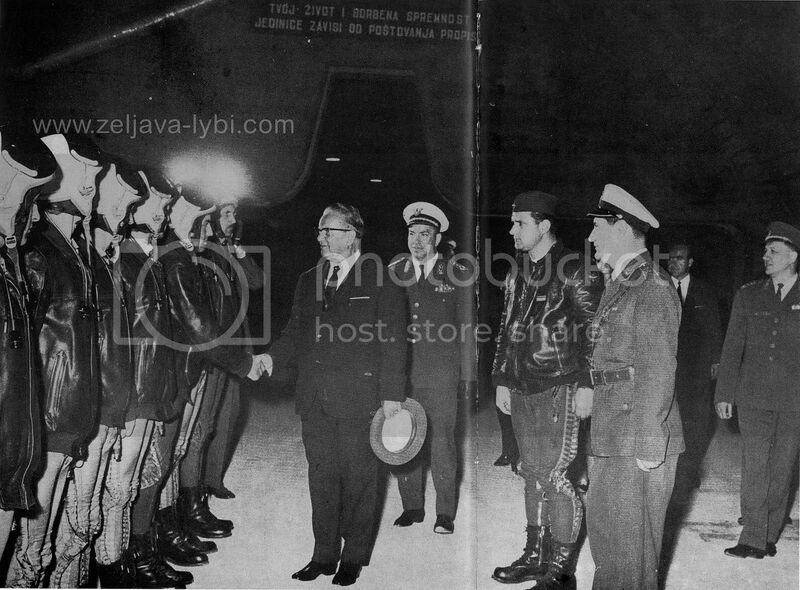 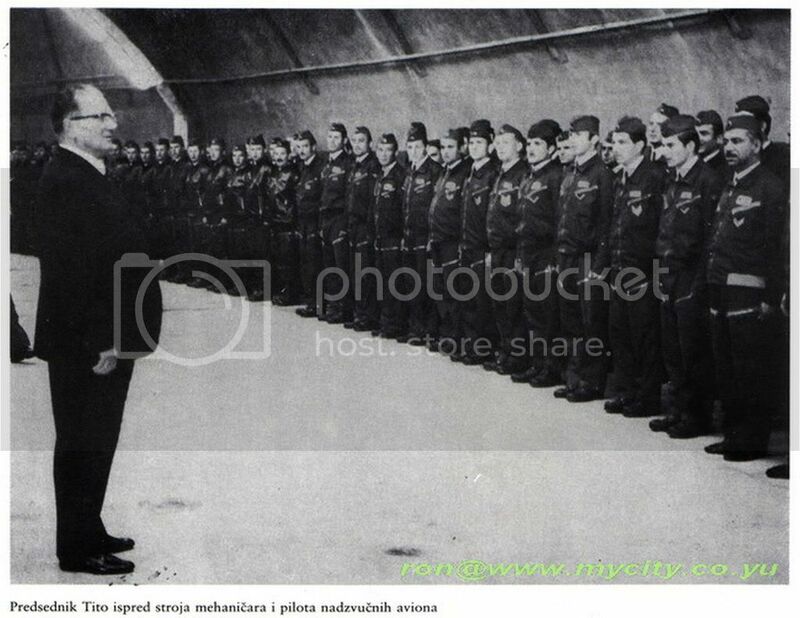 Yugoslav president Tito visiting the facility " Klek " 1969., and shaking hands with pilots in front of mobile armored doors on the entrance 1. 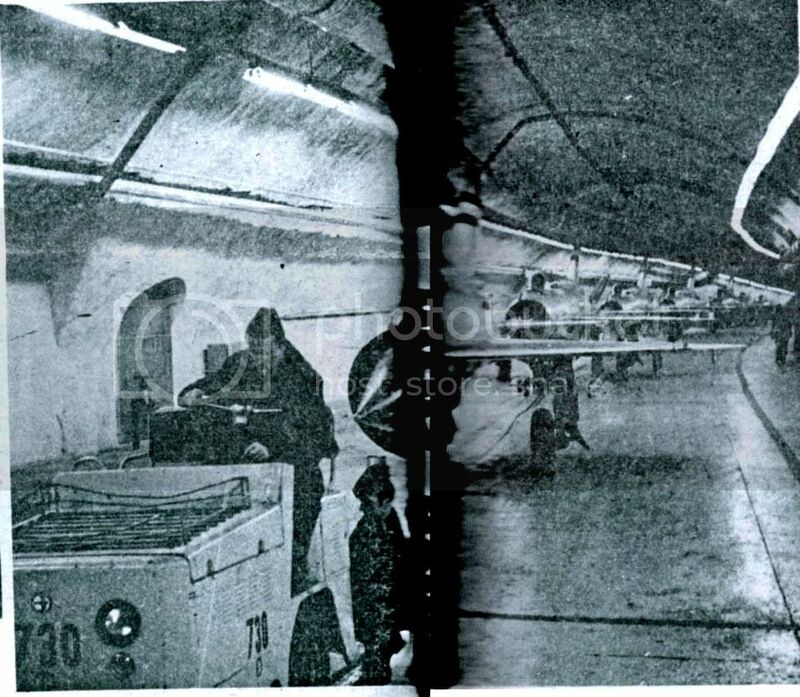 Also photograph from 1969, with the military personnel have been lined up beside the left wall of tunnel on the entrance 1, before the mobile armored doors. 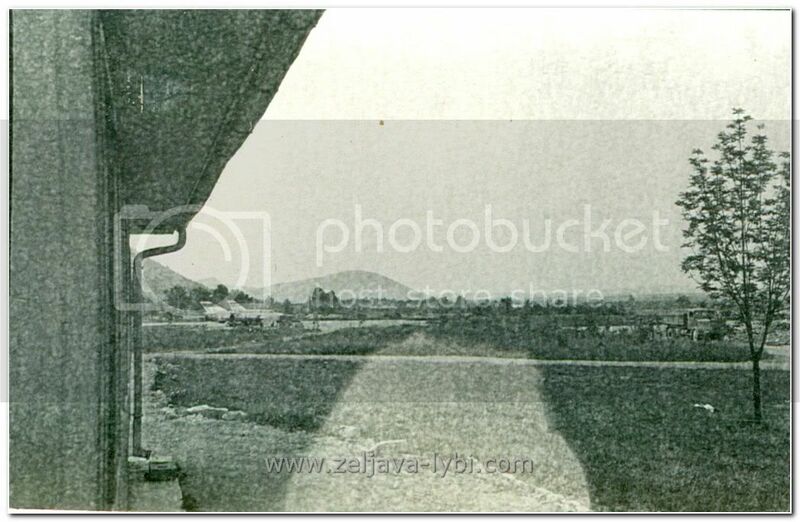 Today (2005/06) this place looks approximately like this. 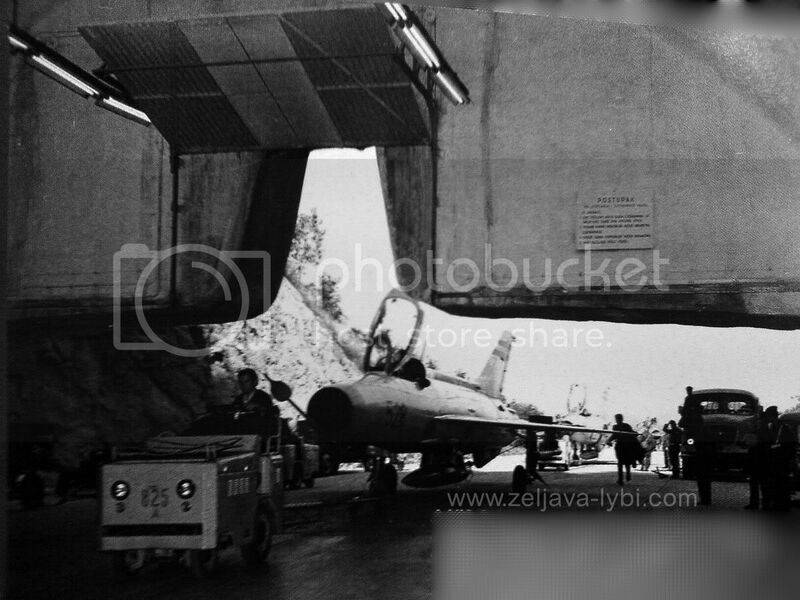 Retracting of the MiG-21 to the entrance 2, where is placed a check-point of military police, in the purpose of supervision of the entrance to the facility " Klek". 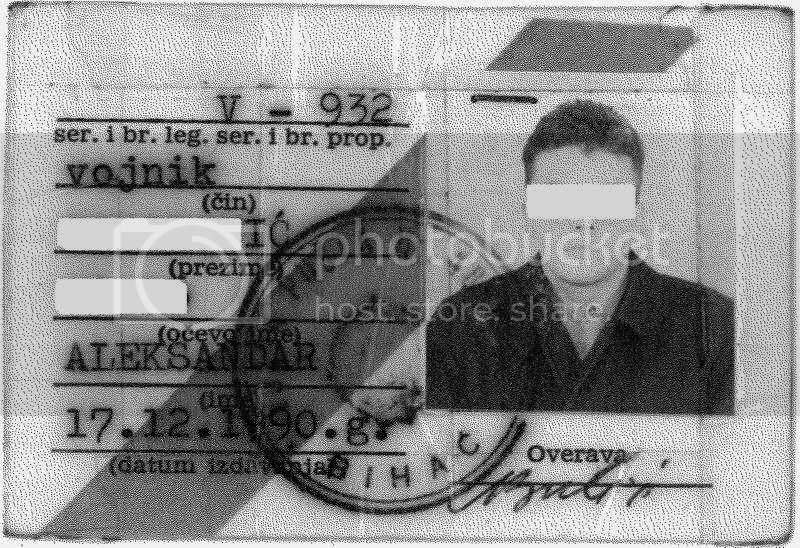 Walking through the "Klek" facility has been limited, and there was a passes for determined parts of facility. 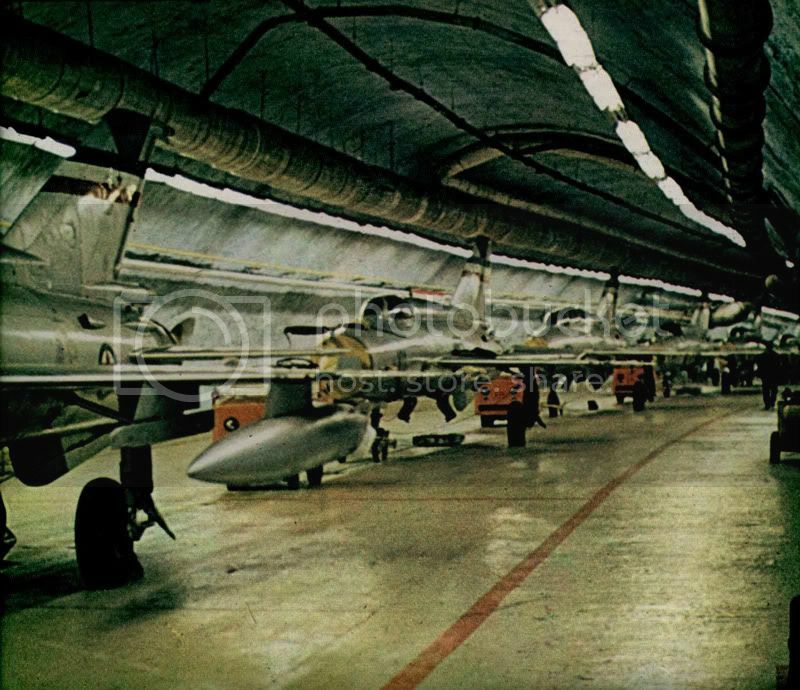 This photo is from 1969, as well as other photos from this period, and which are showing the problem with dusts (wheels, soles) which has been abundantly present in galleries. 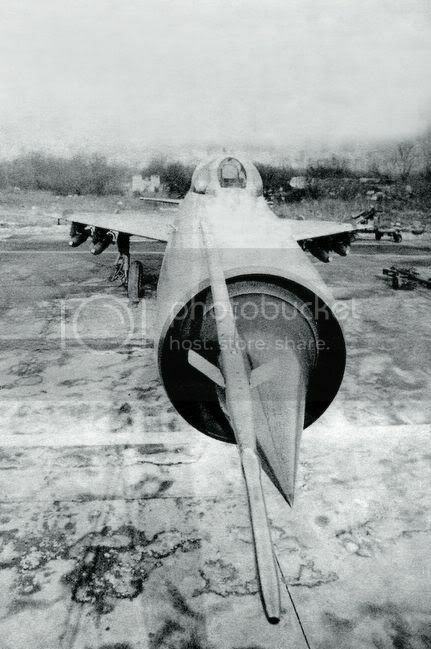 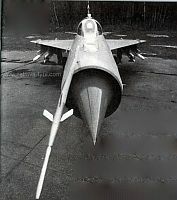 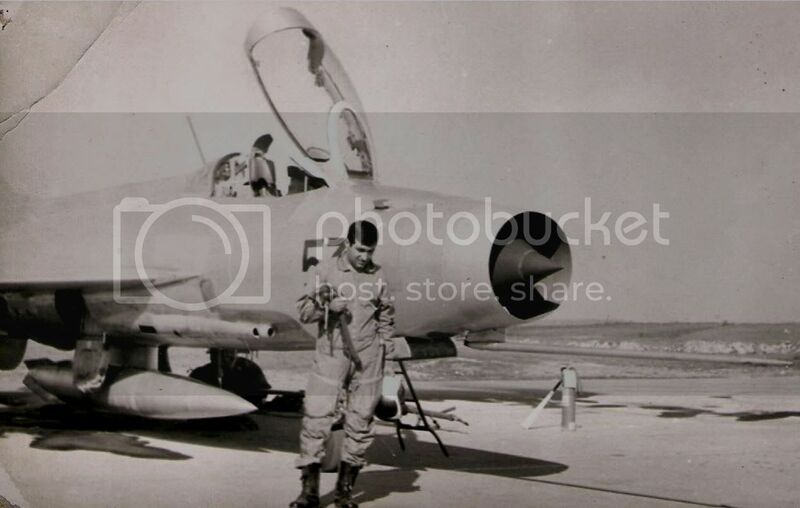 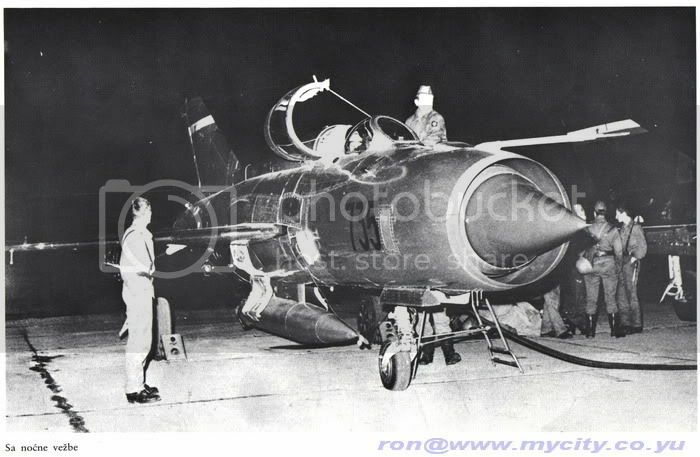 You can see the older version MiG-21 f-13 where the cockpit canopy is opened onward..
Fuel pump in the beginning of gallery 125th.Fighting SQDN, after detaching from central gallery..
Retracting the MiG-21 to the entrance 2. 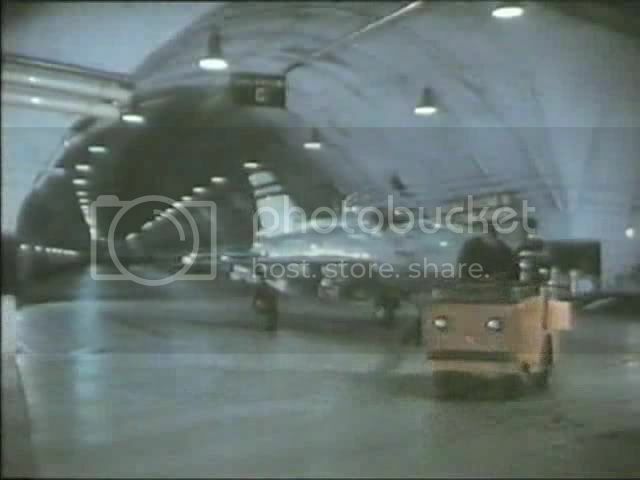 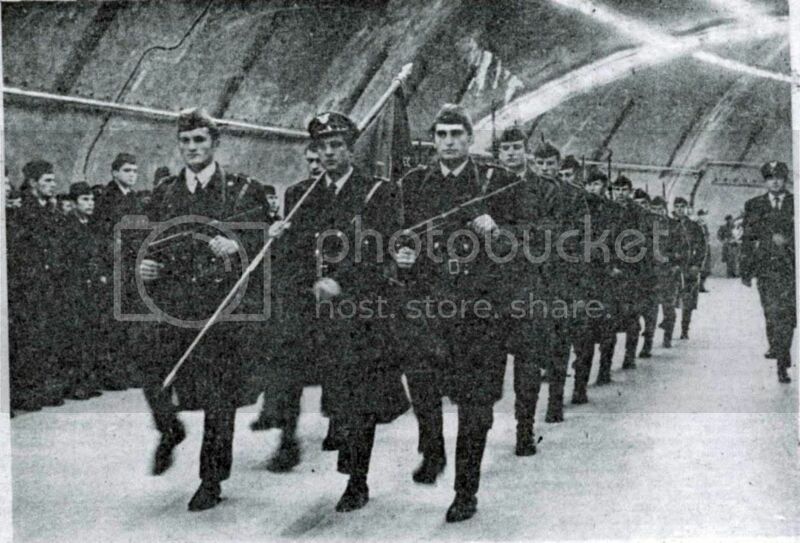 The long bend in the tunnel on the entrance 2, before movable armored doors. 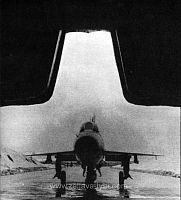 Stand and windows on the control tower. 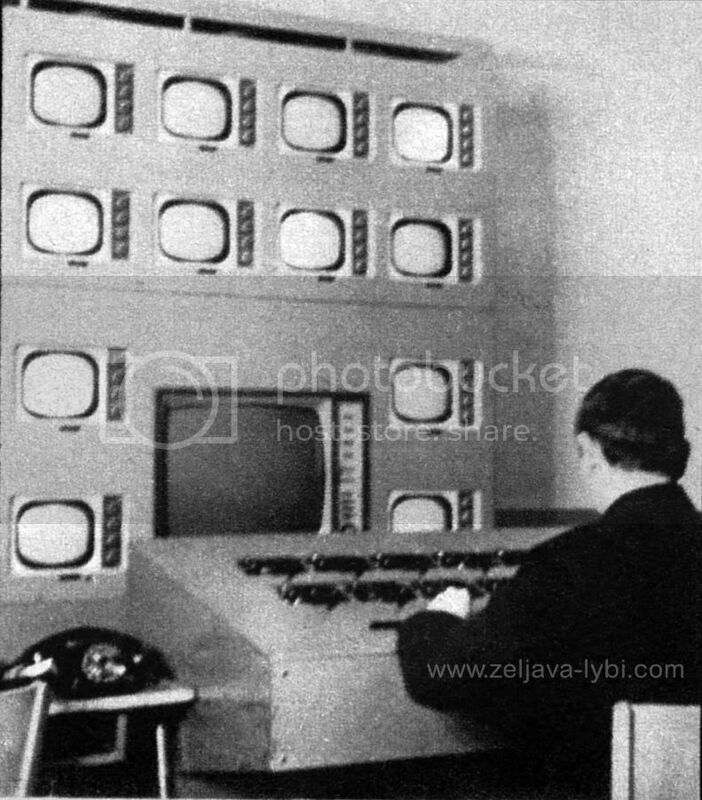 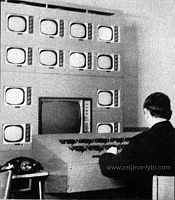 Control room of the video surveillance. 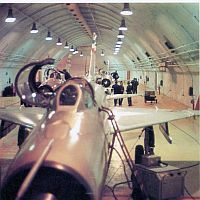 125th.Fighting SQDN gallery , in the direction of sharp bend towards the central gallery. 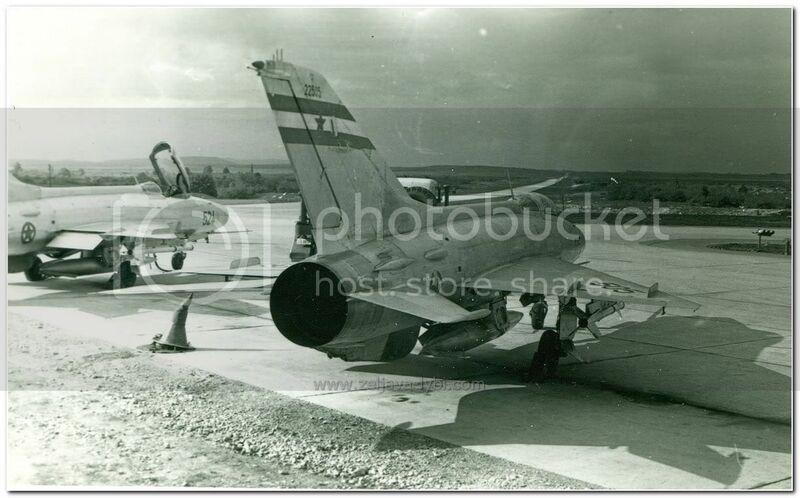 124th.Fighting SQDN gallery, sharp bend towards the exit 3. 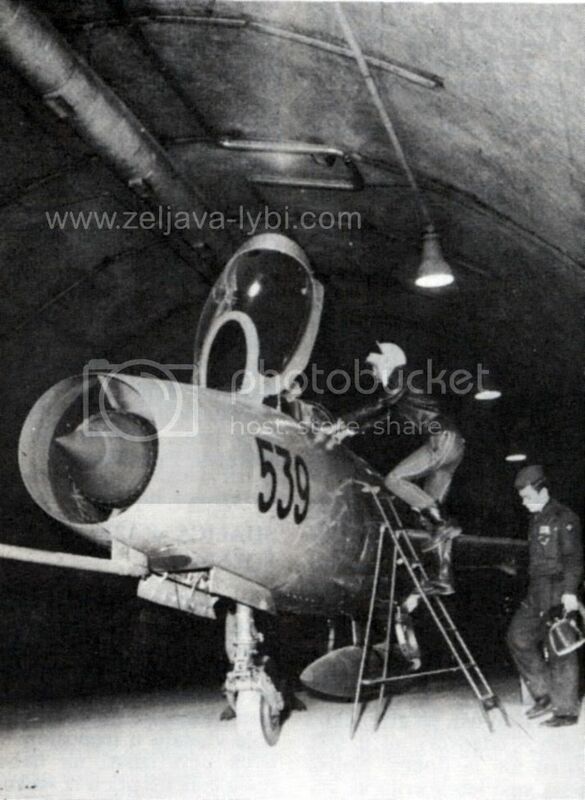 Preparations for the night flight (probably not from Zeljava, but is similar). 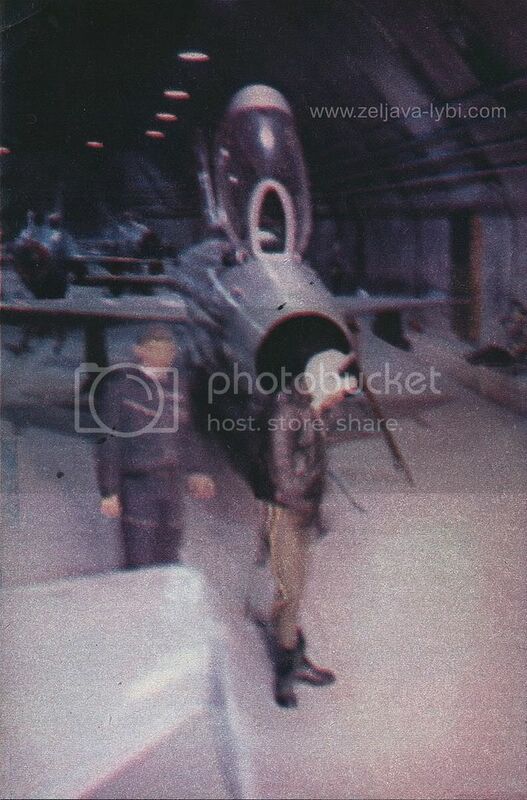 125th.Fighting SQDN gallery (2nd time). 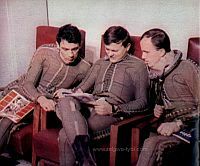 Pilots in the resting room. Pilots in the gallery of the 125th.Fighting SQDN. 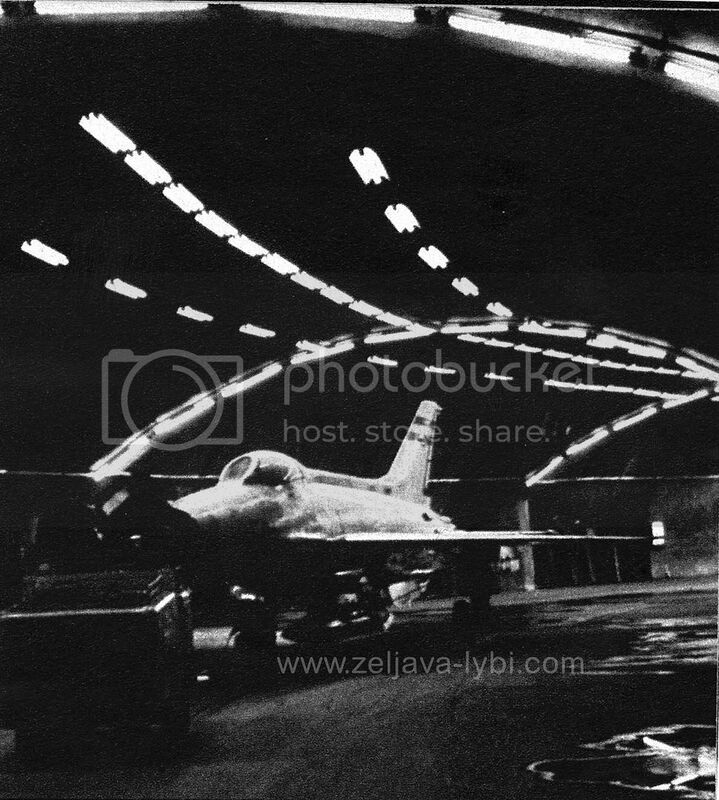 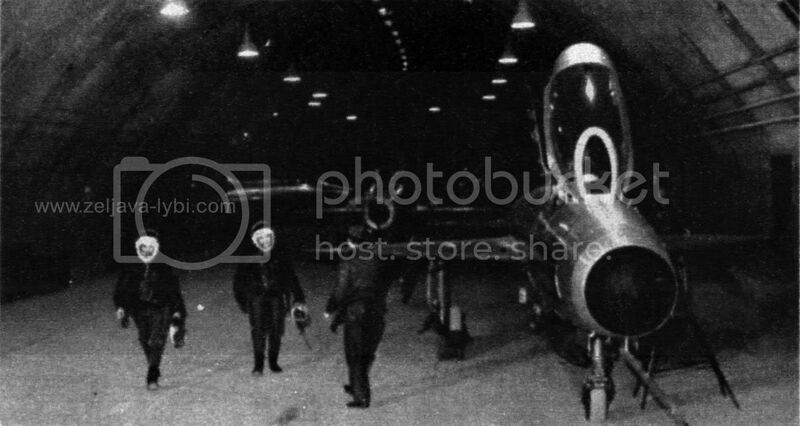 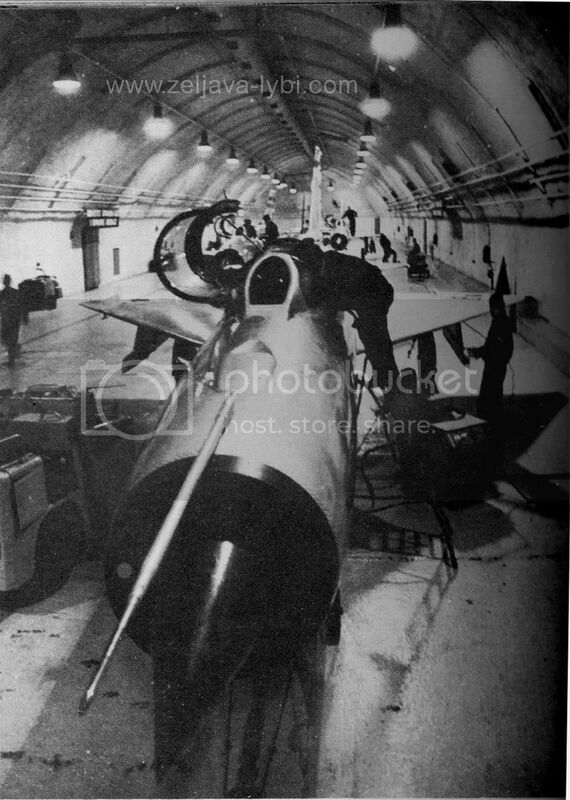 MiG-21 on the exit 1 in the tunnel between the movable armored doors and "concrete curtain". 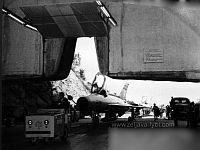 One of the 4 exits, it is difficult to say which one , with the "concrete curtain " which has the slot for the vertical plane stabilizer. 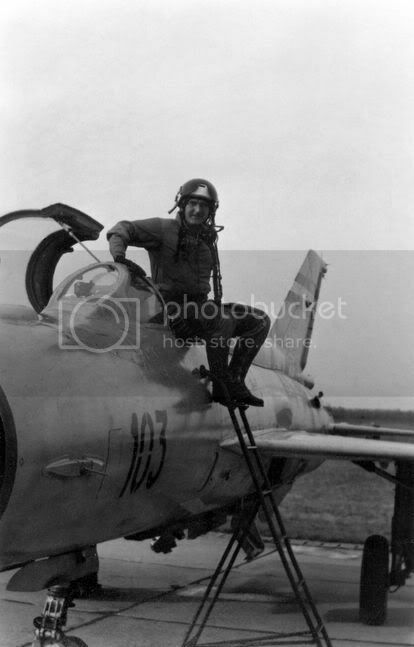 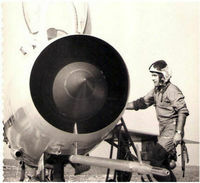 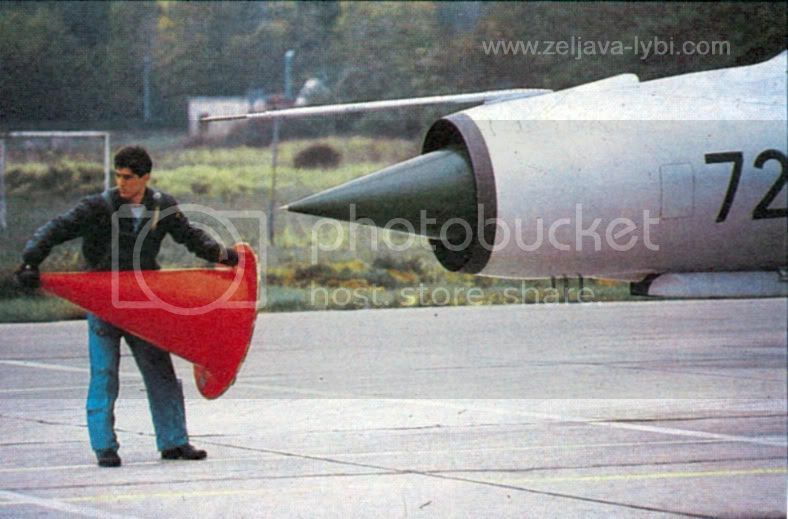 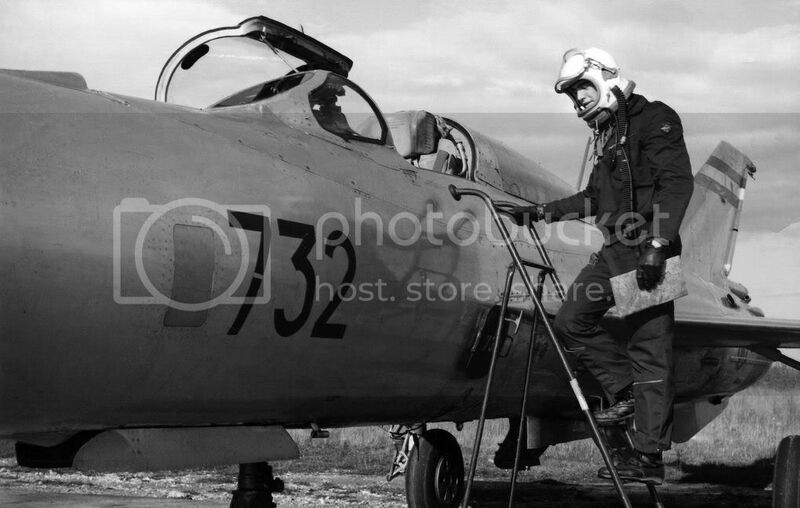 Pilot, lt.Sinisa Sladojevic, on the one of outer aprons, removes the protective "cap" from the jet motor air ducts of MiG-21. 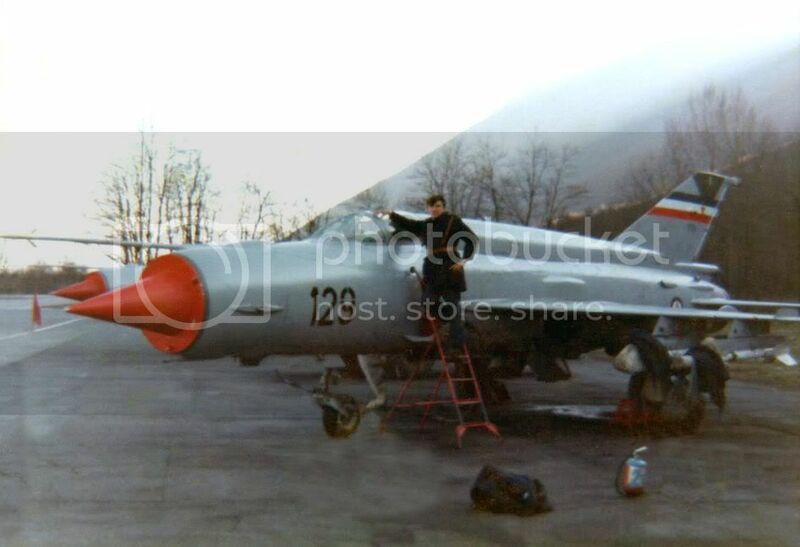 By the way, he died in collision accident of 2 MiG's-21 on June. 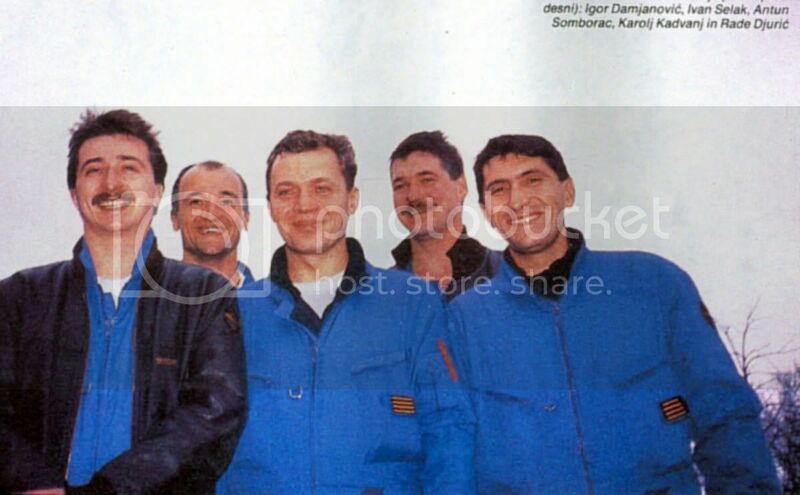 02, 1994. near Podgorica, because he did not succeed to bail out on time. 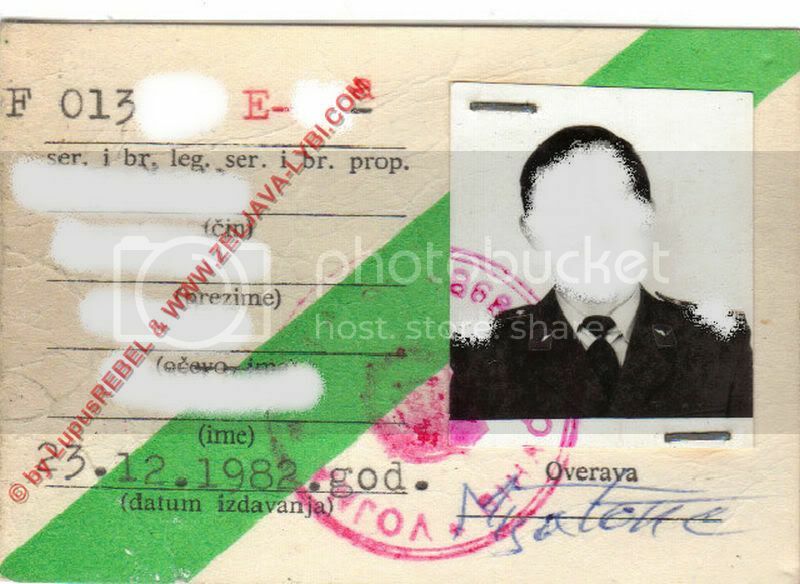 Details here (under the code 94-08). 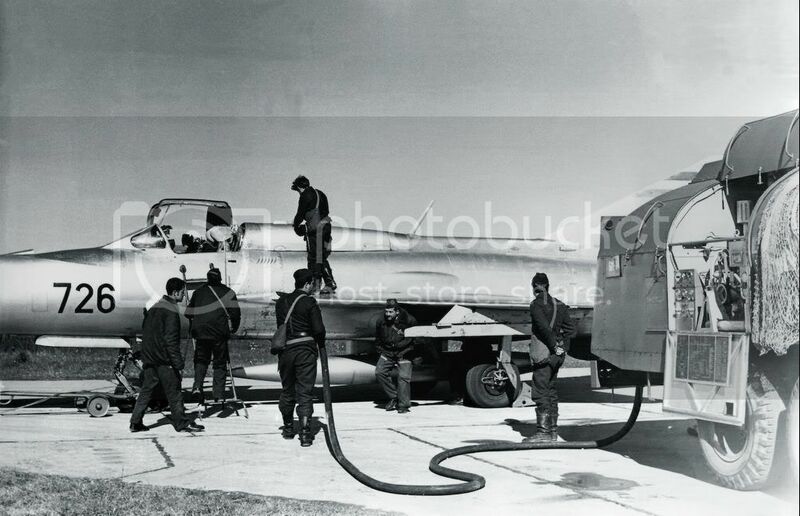 Fuel pumping, also on the outer apron. 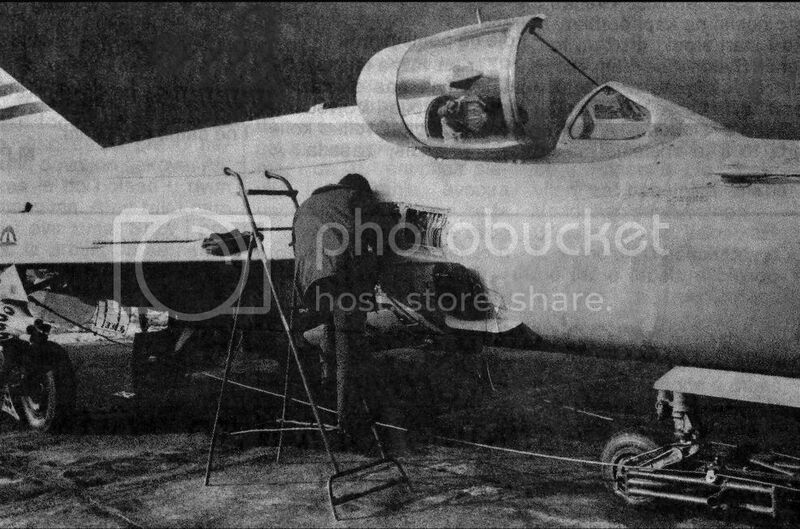 The technical personnel working on the plane. 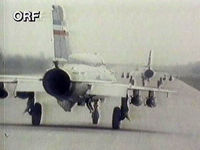 Plane of the scrambling pair, on the outer apron, armed and prepared for the take-off. 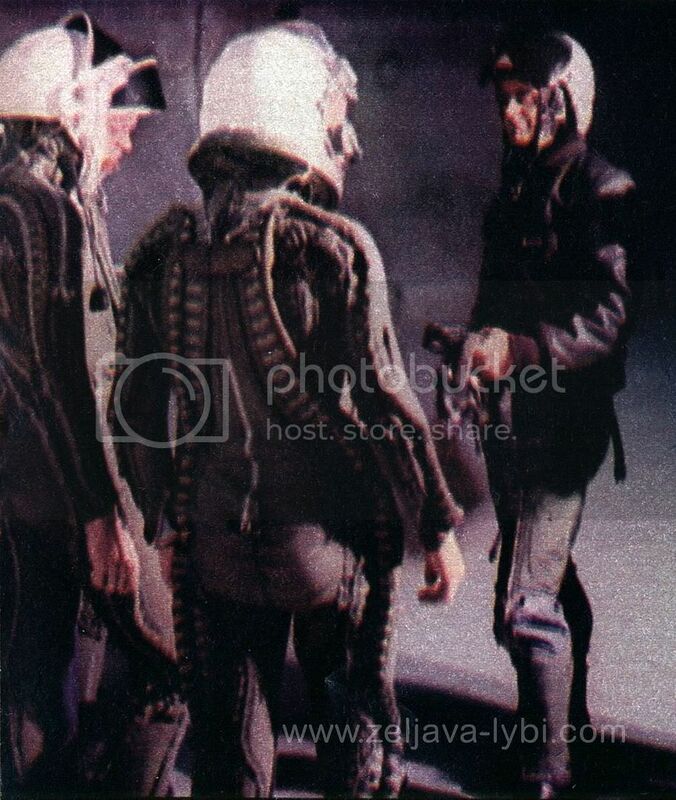 Pilots are dressed in altitude pressure suits. Scrambling pair is taking off from runway 4, and this runway today (2005/06) looks like this. 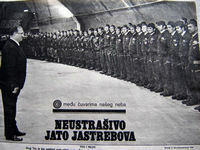 Entrance 2, in front of the "concrete curtain". Exit 3, in front of the "concrete curtain", although it looks like that bright lights in the tunnel goes right (like on 1), but the incline of terrain in front the entrance clearly states that it is exit 3. 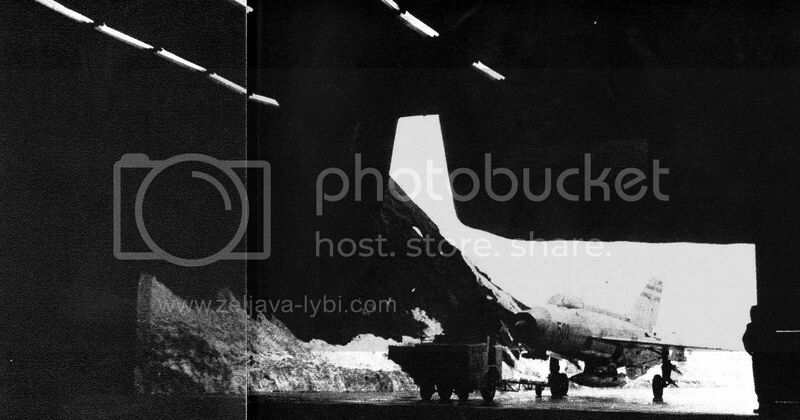 Exit 1, plane under the "concrete curtain". 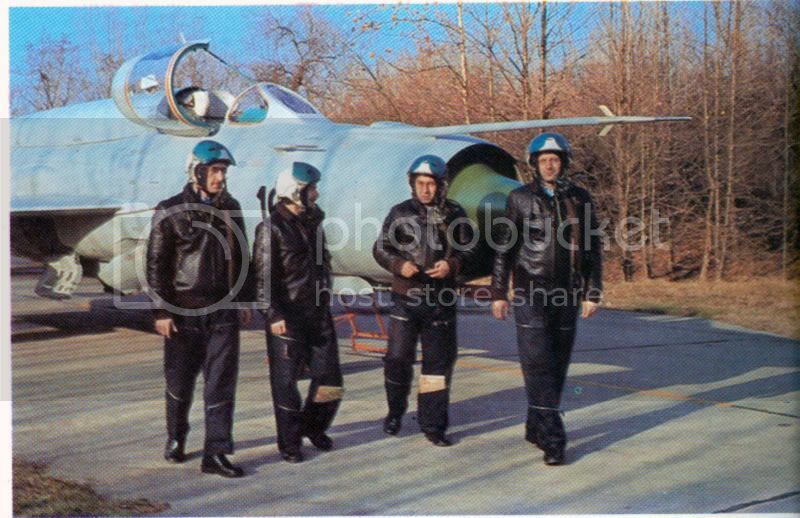 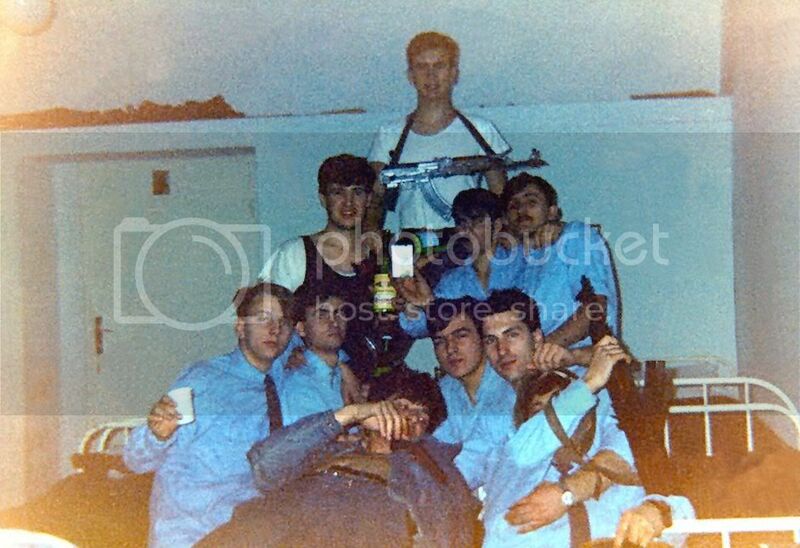 Pilots, taken by the middle of 80's. 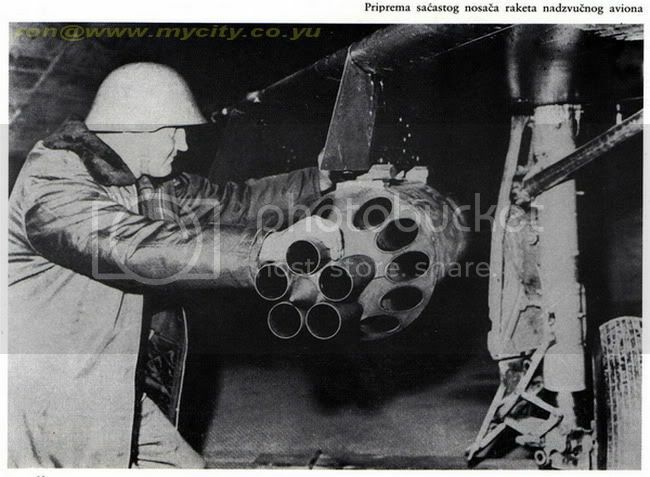 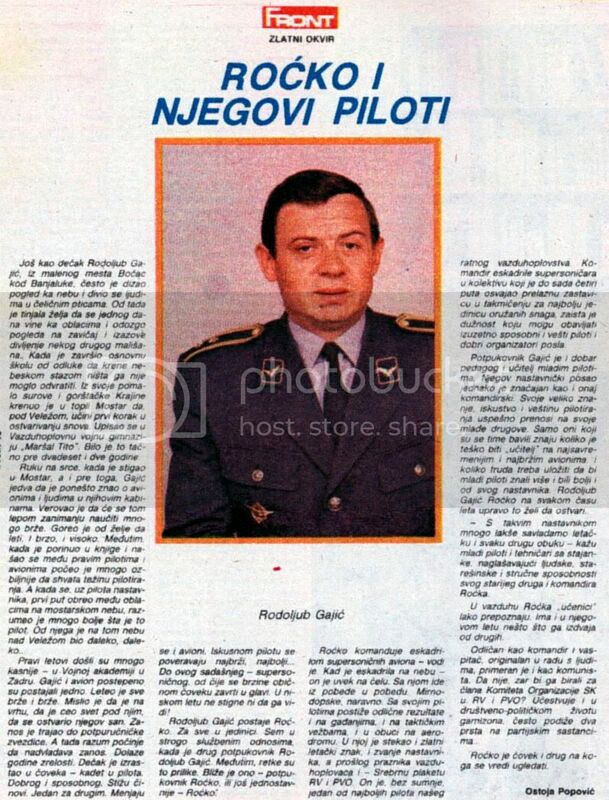 Lieutenant colonel Rodoljub Gajic-Rocko, squadrons leader, died in the incident during the take-off with the Utva-66 October 5th.1991. Link here, under the code 91-26. 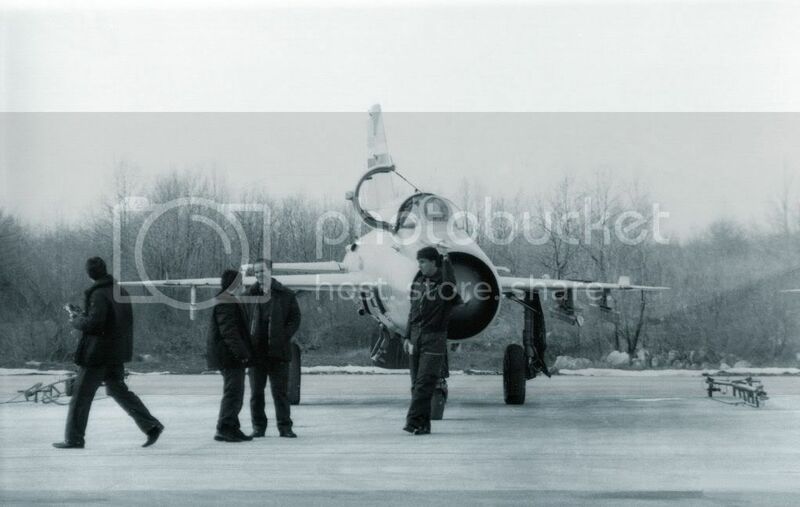 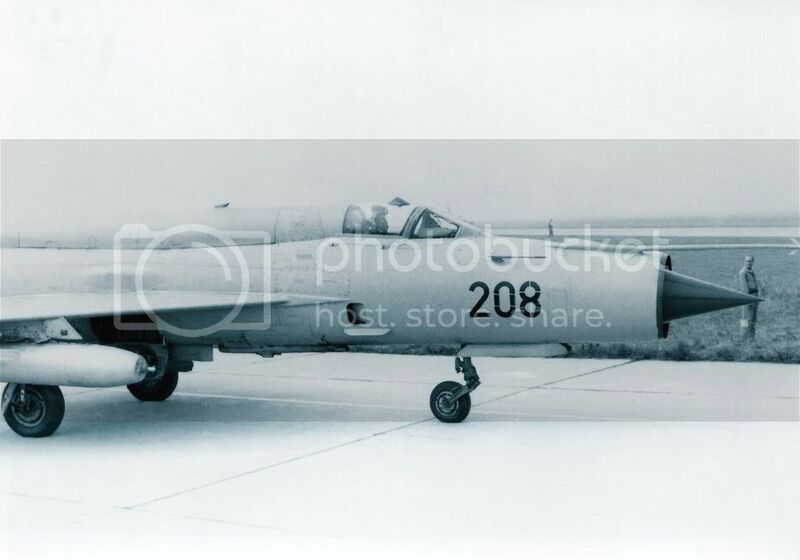 Mig's 21 on zhe main apron(1) on the triangle. 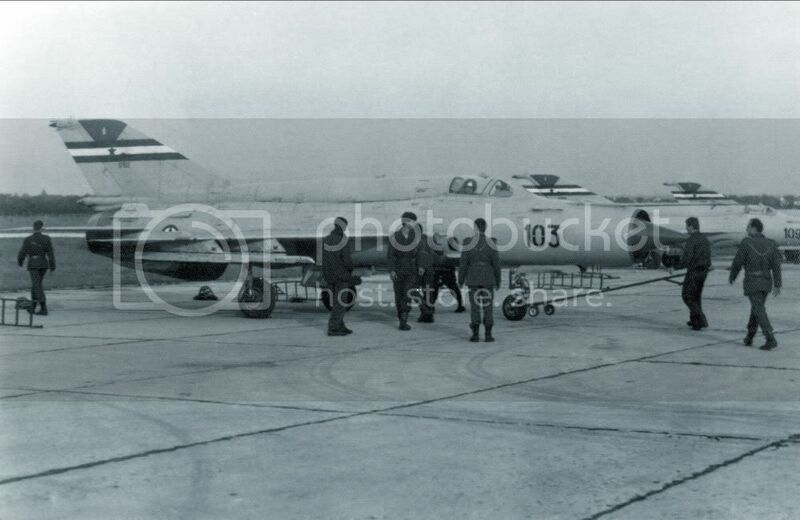 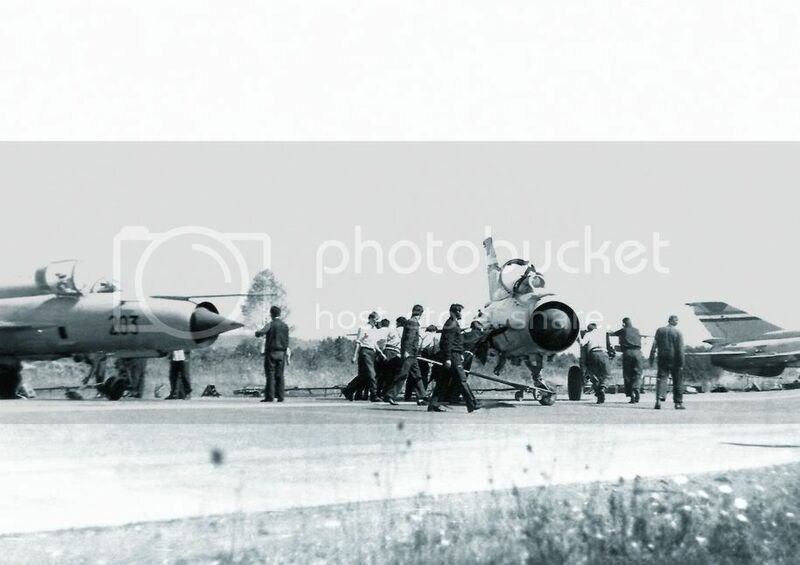 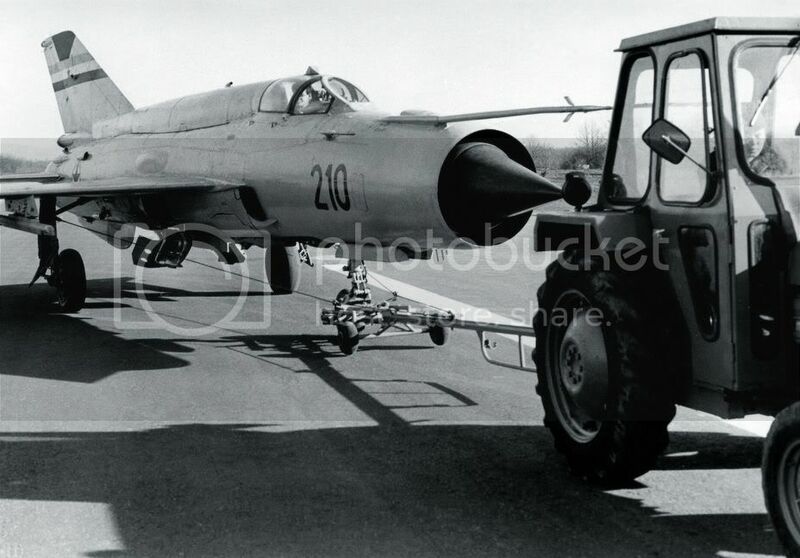 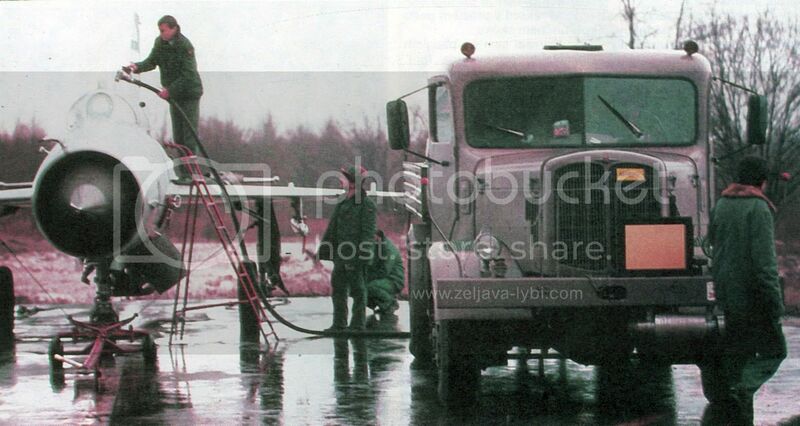 Towing of the mig-21 before entrance 2 with accu-puller. 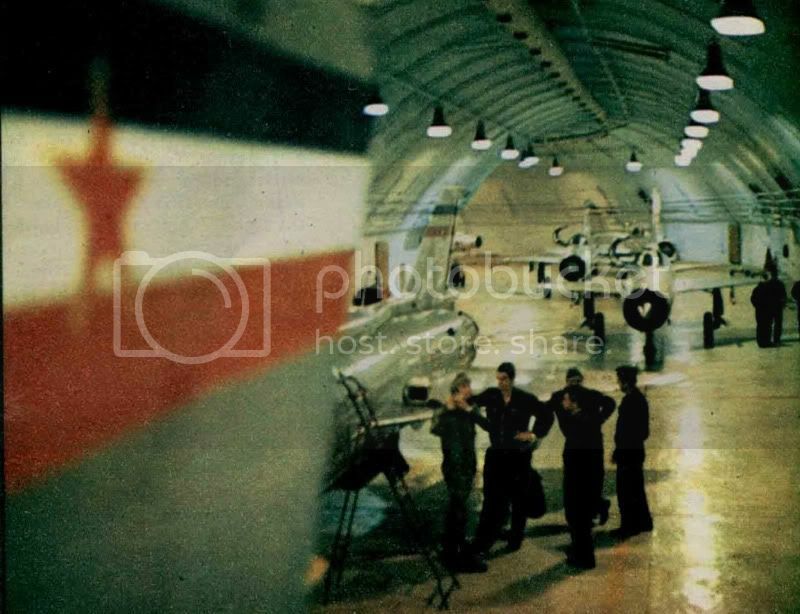 VTR (" Vazduhoplovno Technicka Radionica - Air force Technical Workshop") recorded somewhere in the middle of 80's, and when it is compared with the photo from 1969 (here) then it is seen how then was rough and dusty concrete floor. 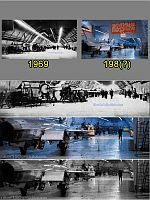 This is reason of dust problems in that time. 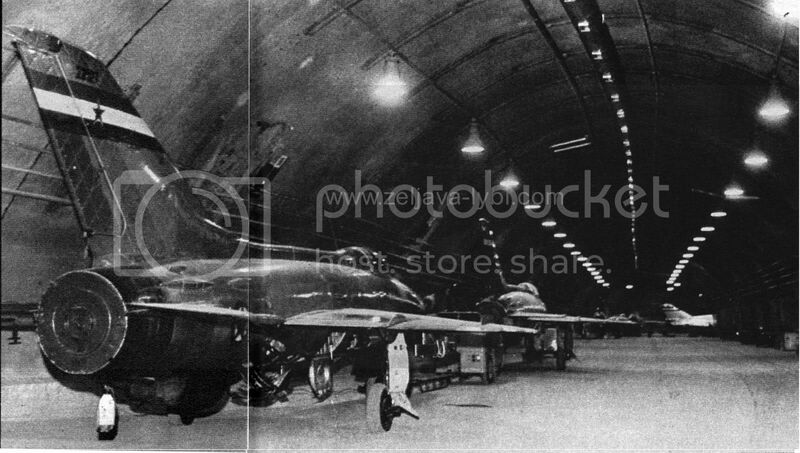 352nd.Recon SQDN gallery. 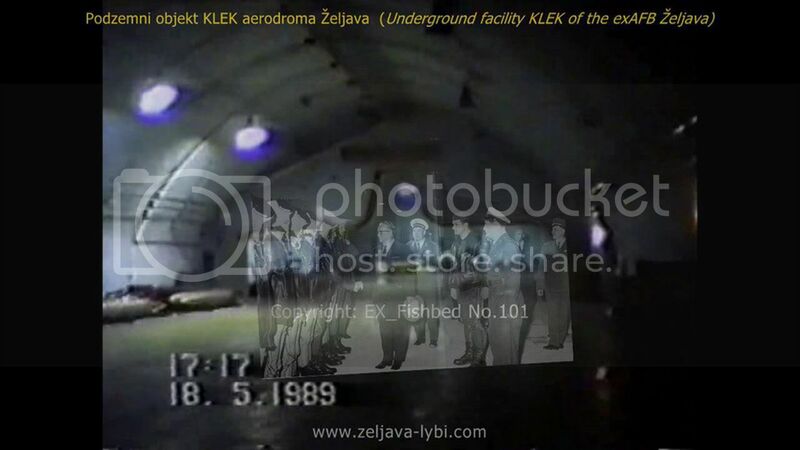 Visible entrance toward the clima chamber across the Star section of the Klek underground facility. 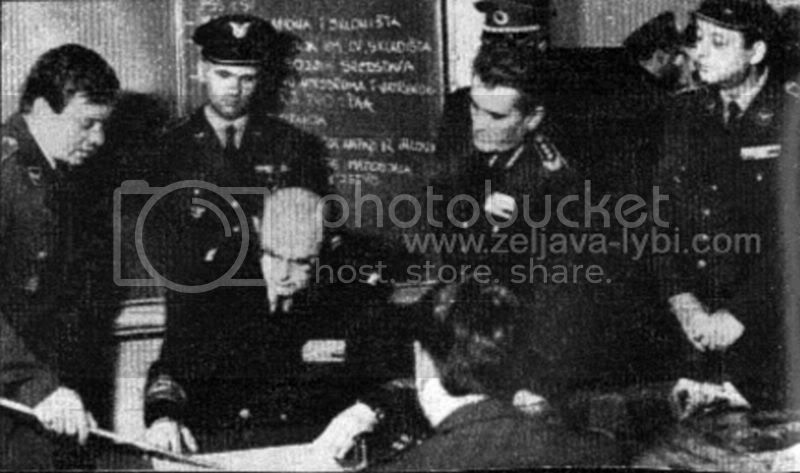 Branko Mamula in the classroom. 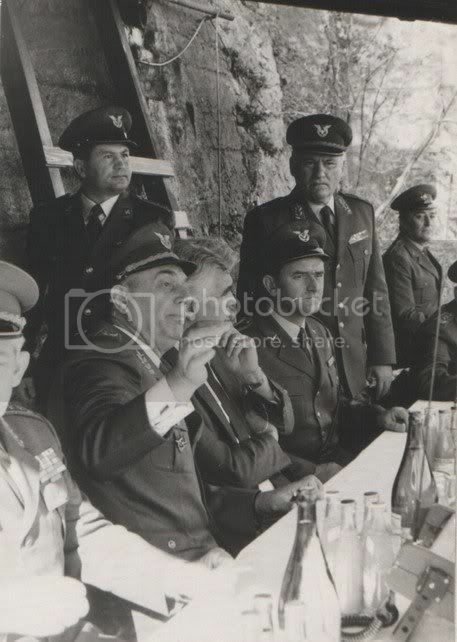 Branko Mamula during conversation with the Rodoljub Gajic. 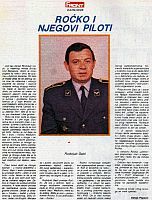 The other pilot from the right side received the badge as the best pilot. 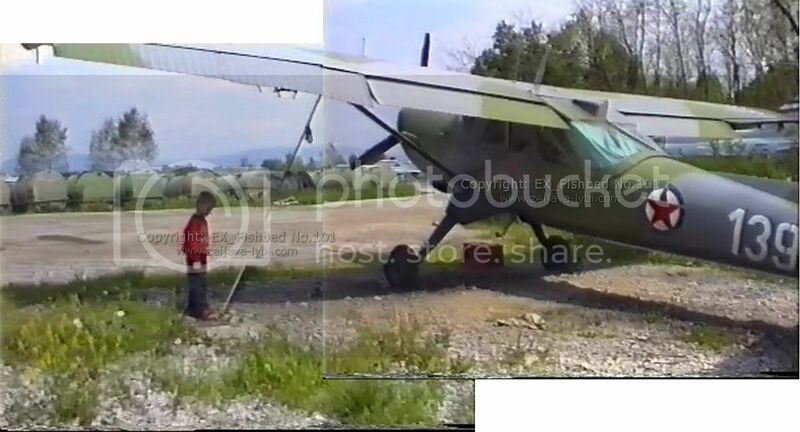 On the apron, in the background is the mountain Pljesevica. 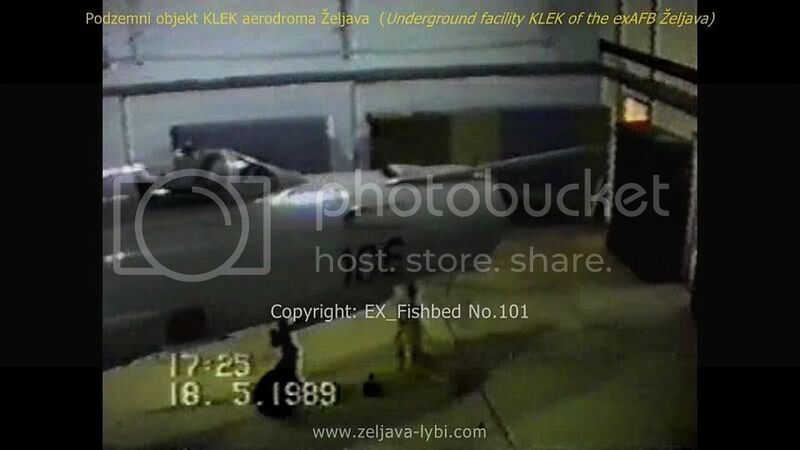 Pilots pass for "Klek" facility. 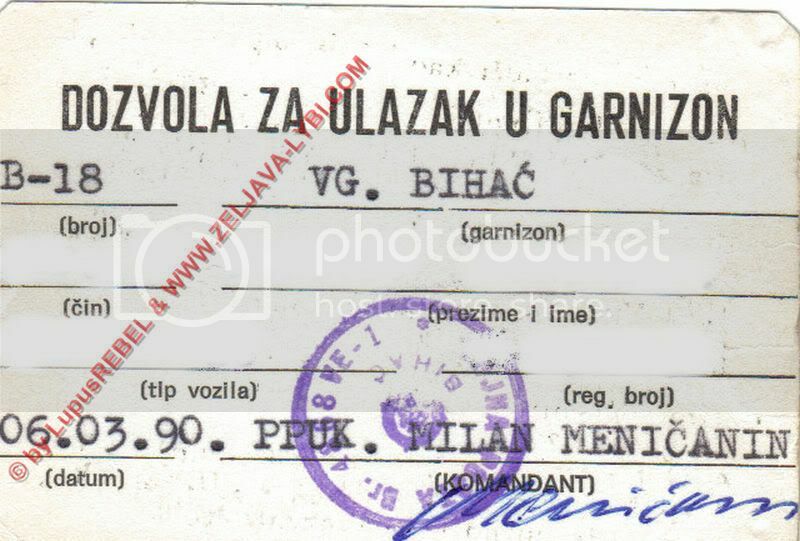 Pilots pass for entrance in the garrison. 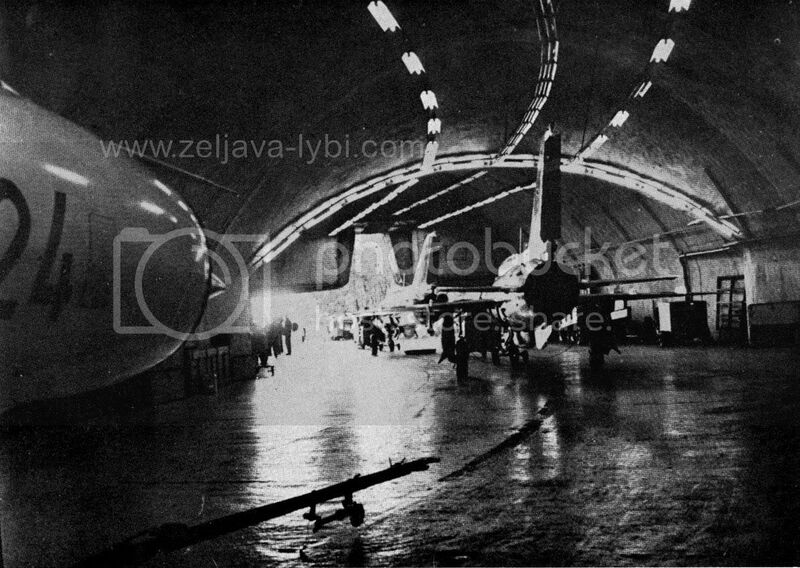 Operating Center (OC) 51bVOJIN inside the undeground facility "Klek ". 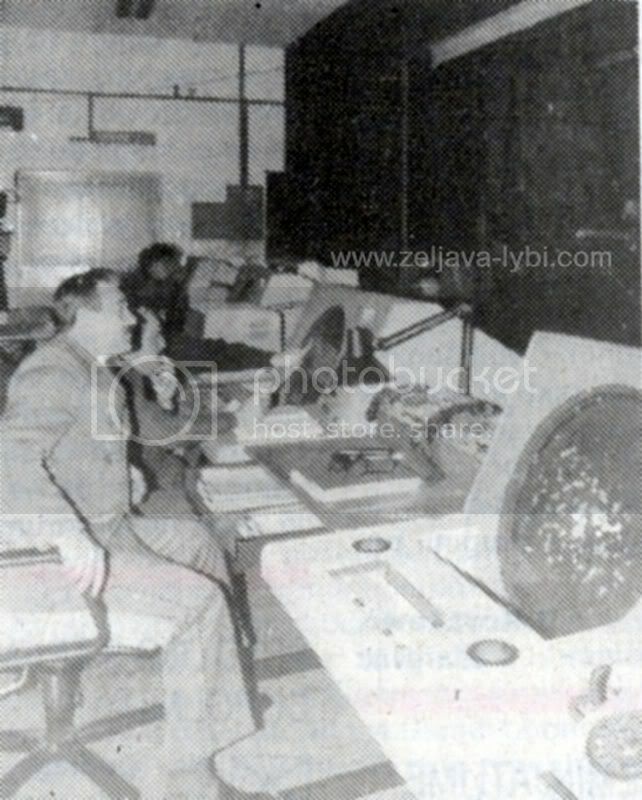 Monitoring off the radar screen. 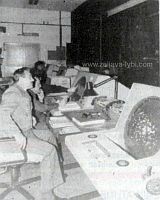 The navigation radio beacons for the approach to the ICAO runways on Zeljava. 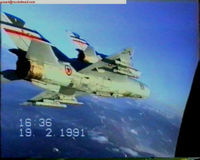 Comparison of two pictures with the same motive, but shot between time interval of about 20 years. 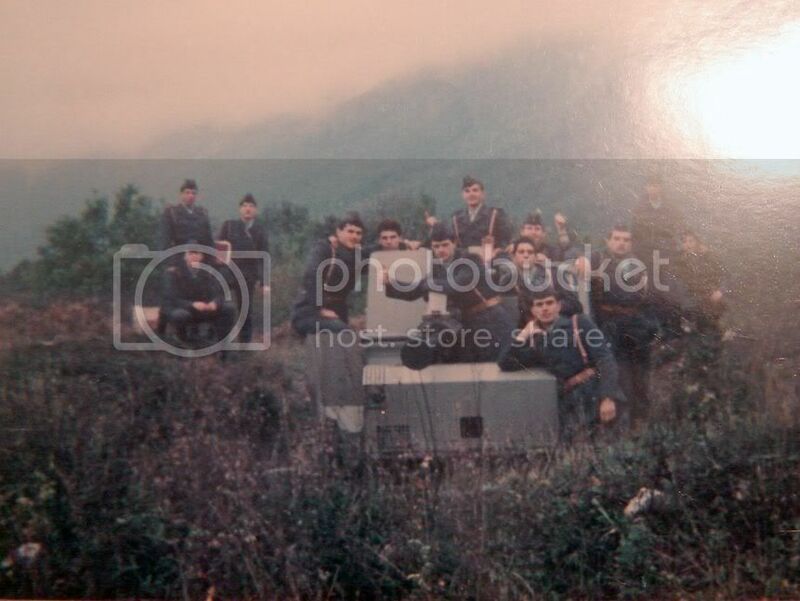 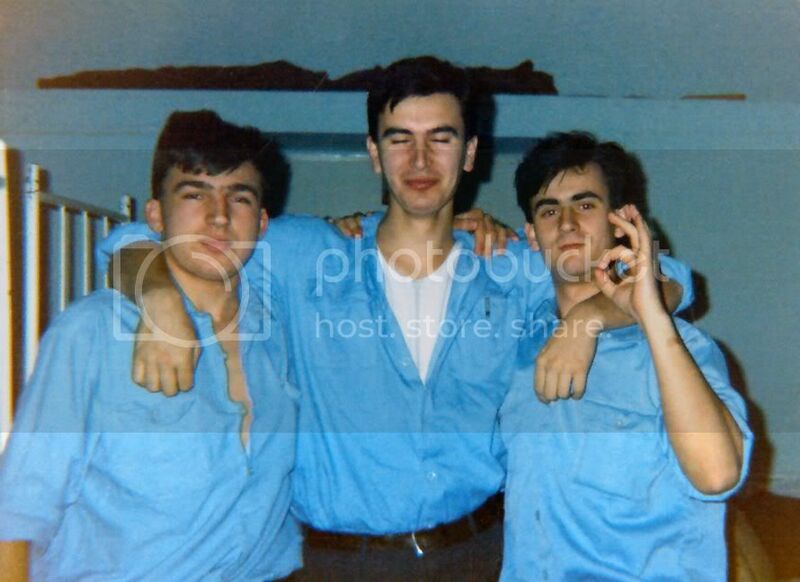 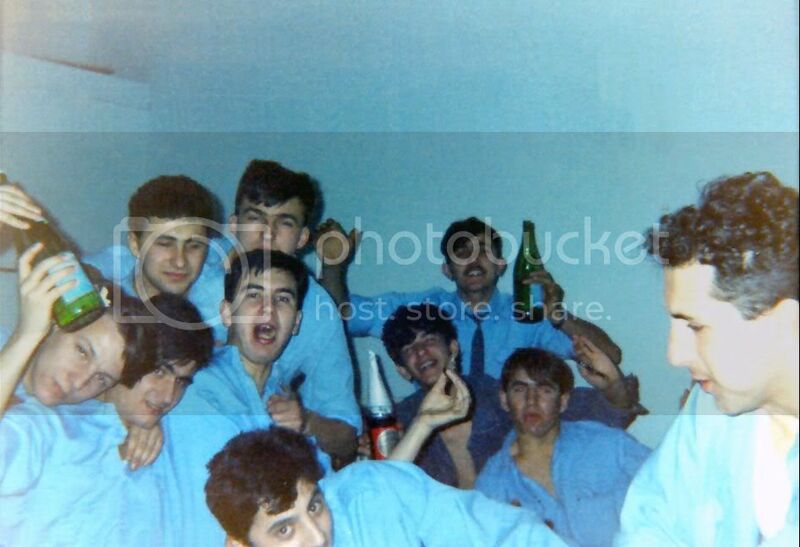 Photo from 198? 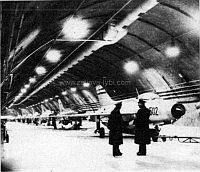 shows how floors and walls of tunnel has been coated with some special, shining coat. 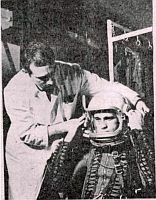 This coat solved the problem of dusts which has existed from 1969. 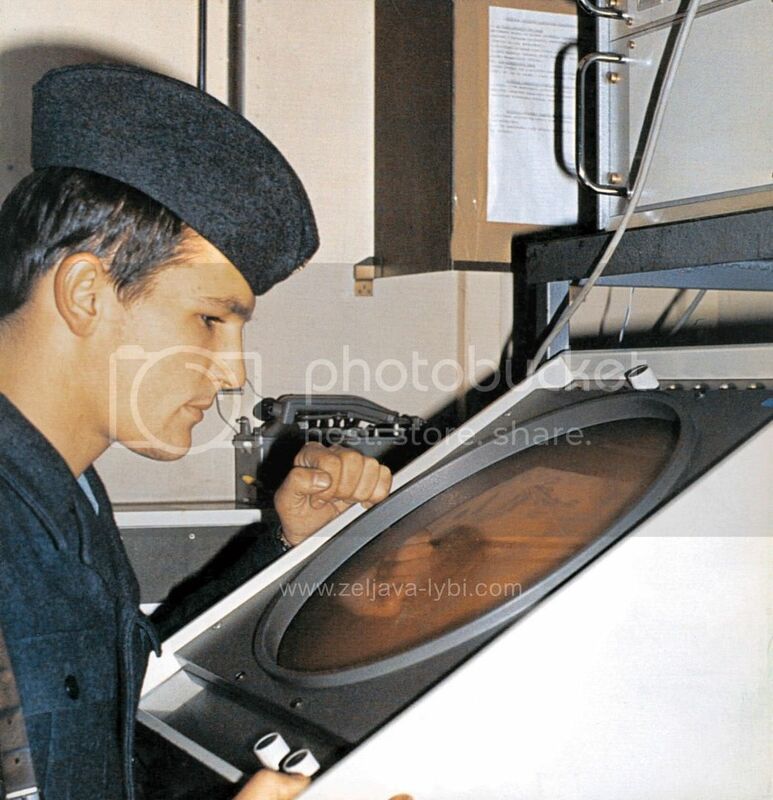 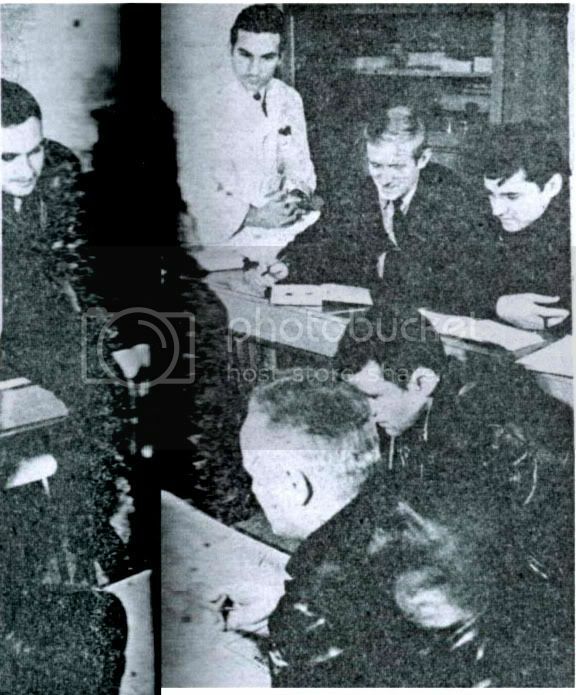 VTR (" Vazduhoplovno Technicka Radionica - Air force Technical Workshop") 1969. 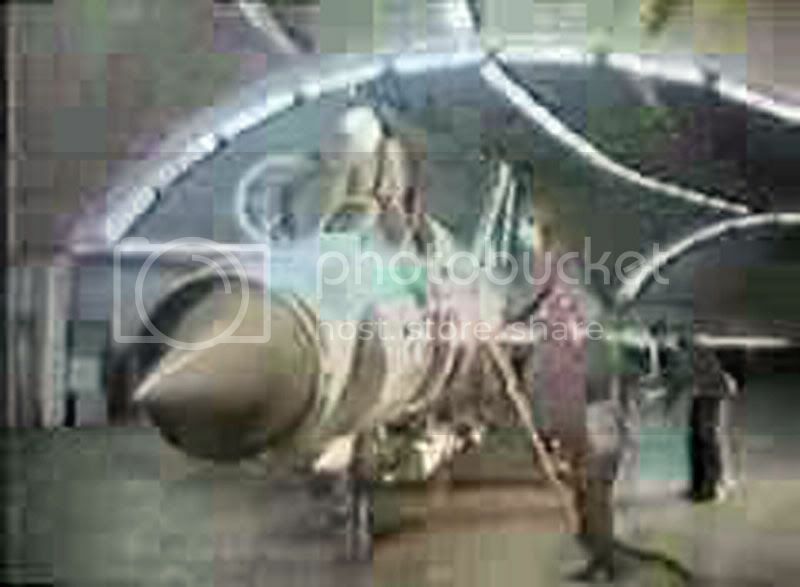 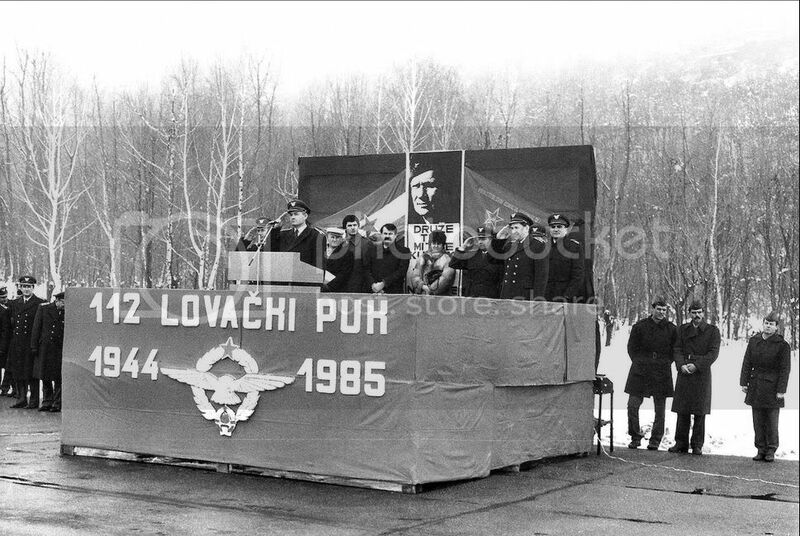 VTR (" Vazduhoplovno Technicka Radionica - Air force Technical Workshop") -198?. 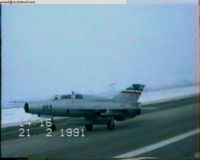 MiG-21 with the armament, recorded in front of VTR. 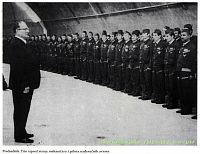 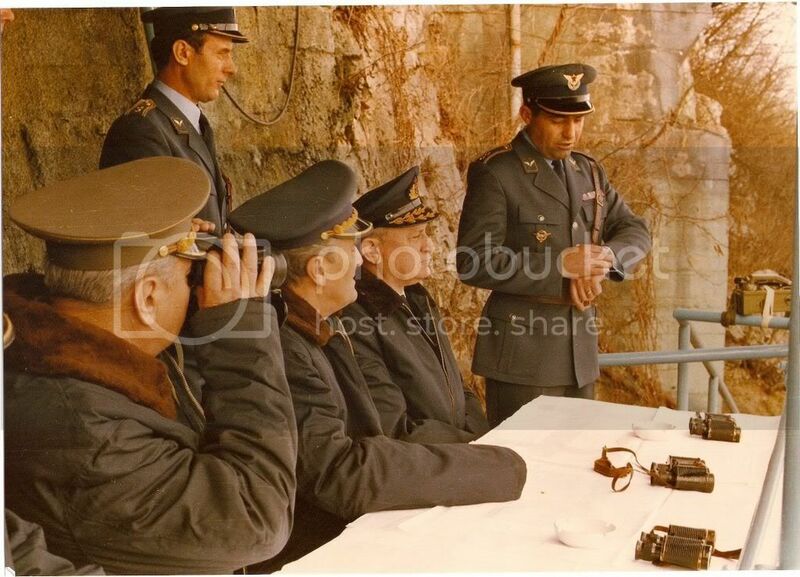 exYU president Tito with soldiers in the entrance 2. 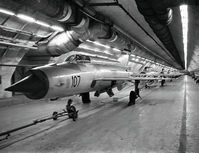 Photomontage of the left picture in todays picture (2008) from that same place in the entrance 2. Mig-s 21 from 125th.Fighting SQDN in flight. 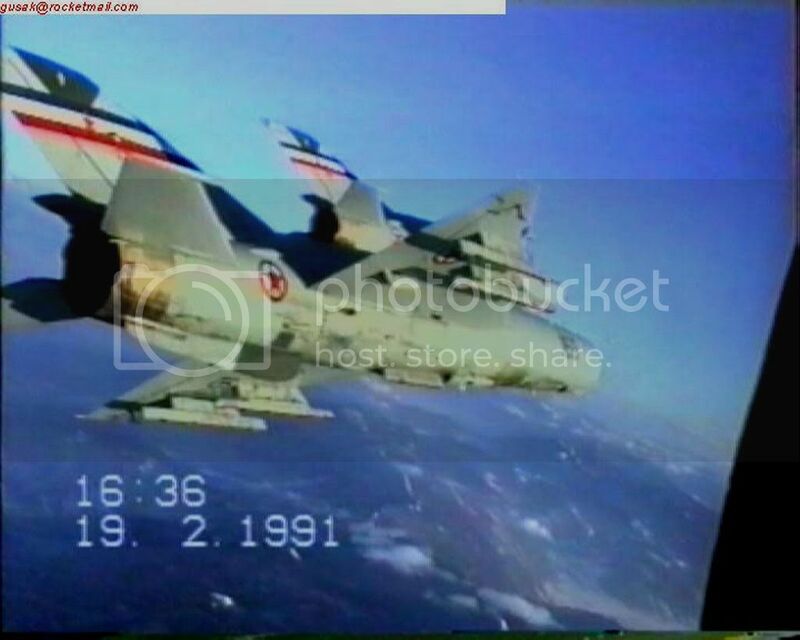 Photomontage of the left picture in picture scene from video taken in 1989.